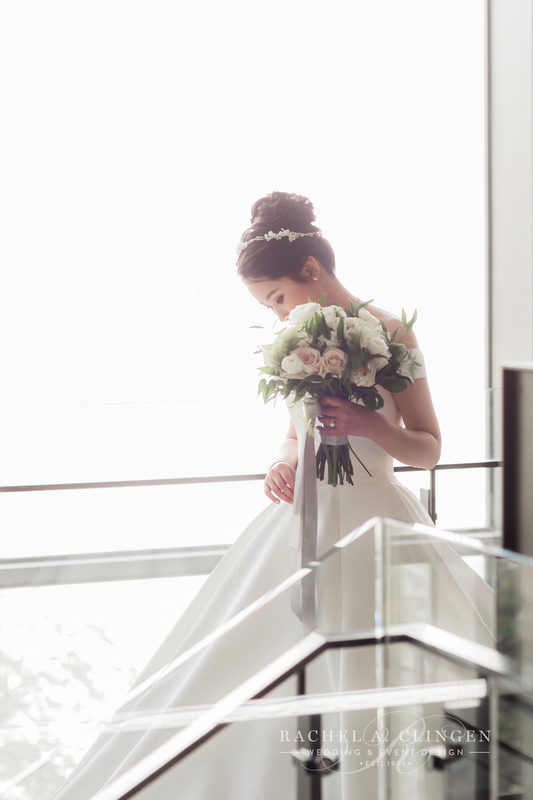 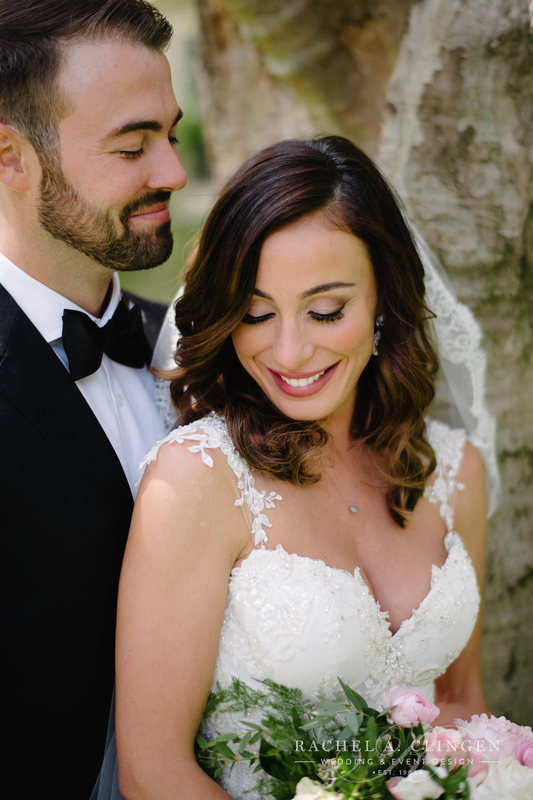 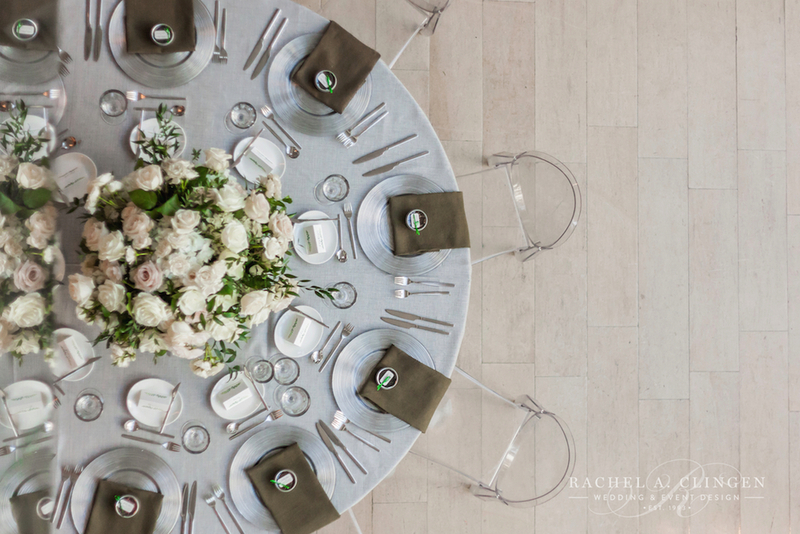 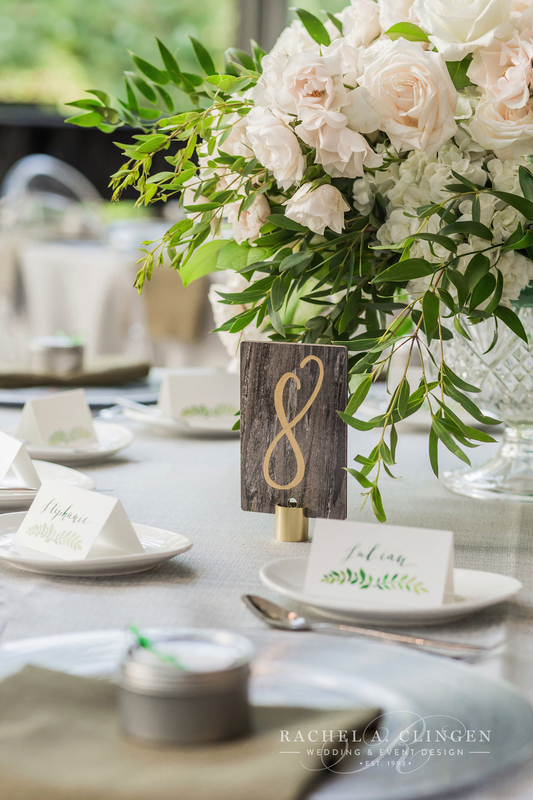 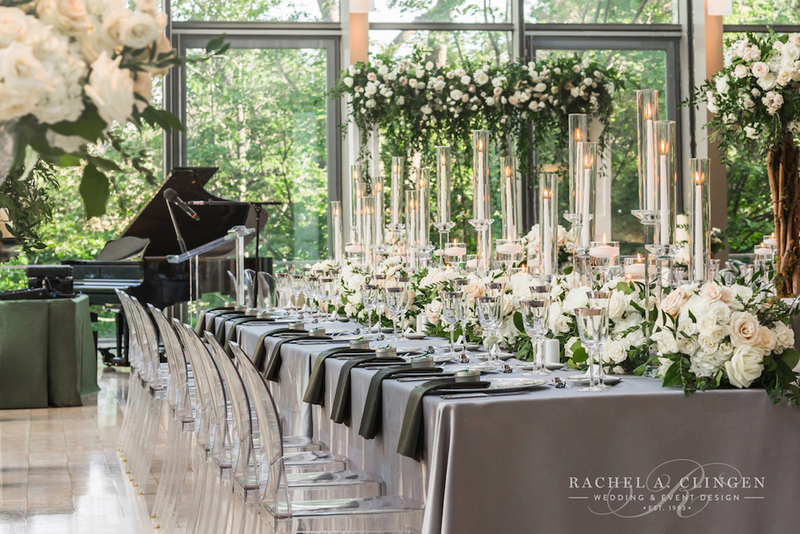 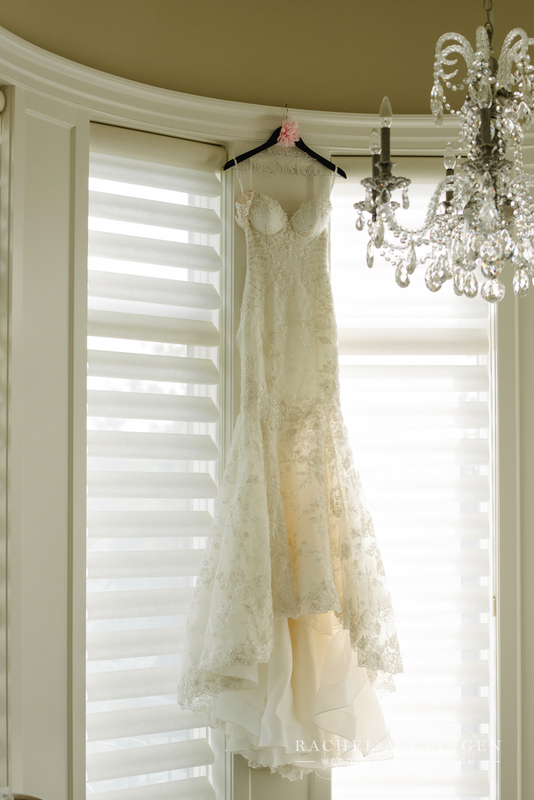 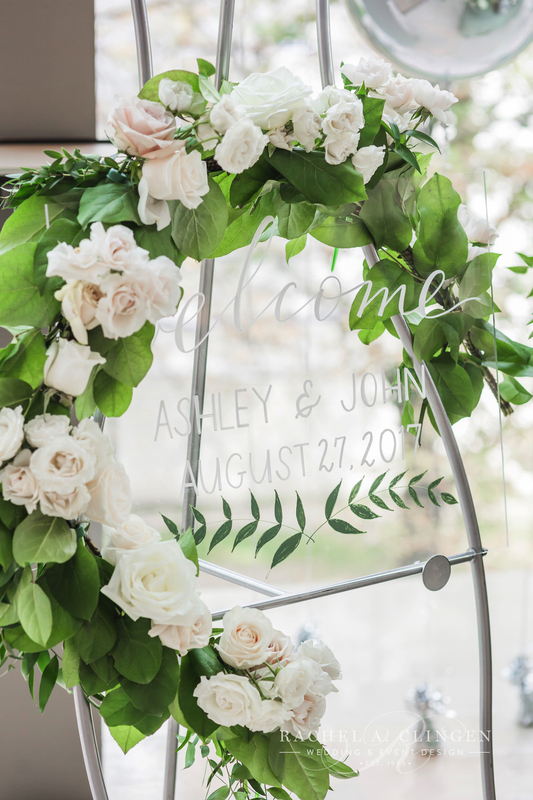 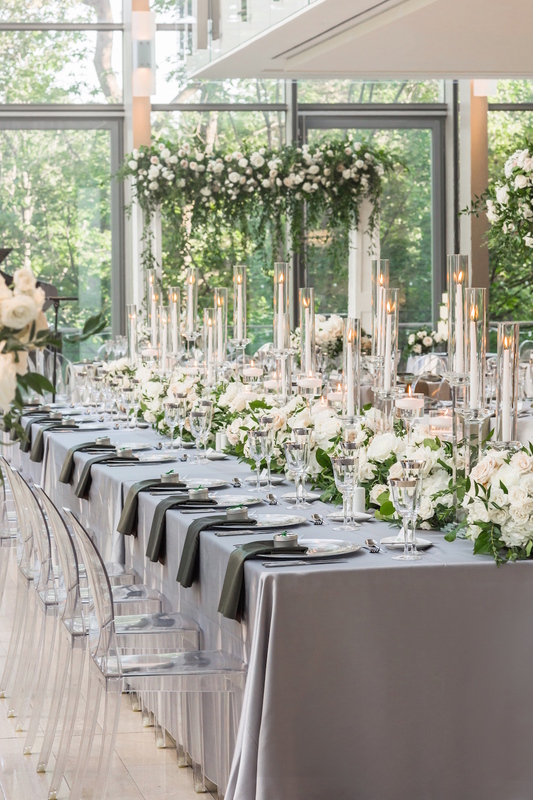 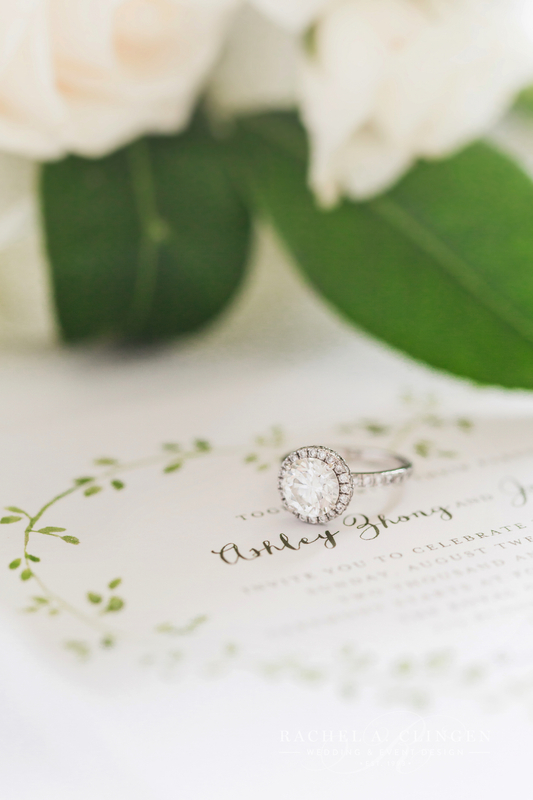 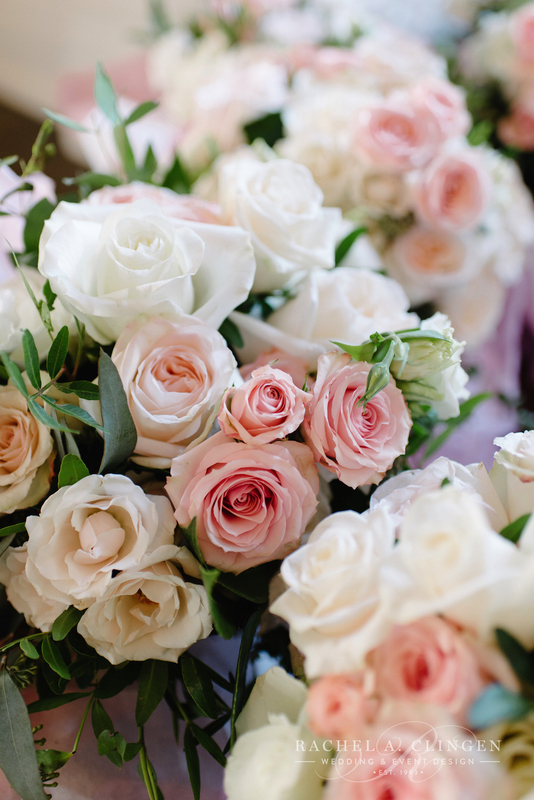 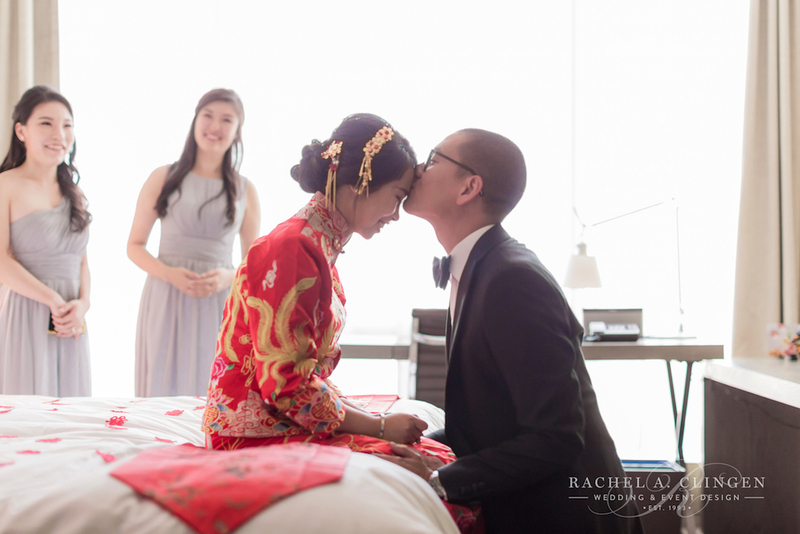 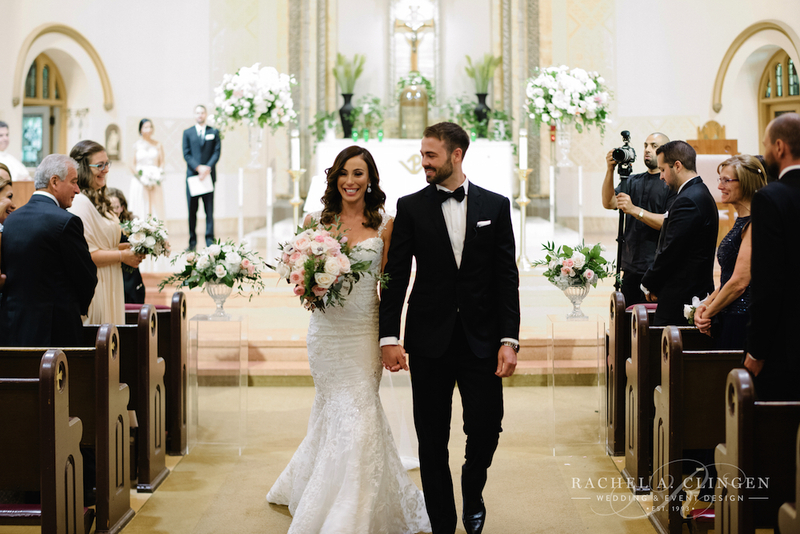 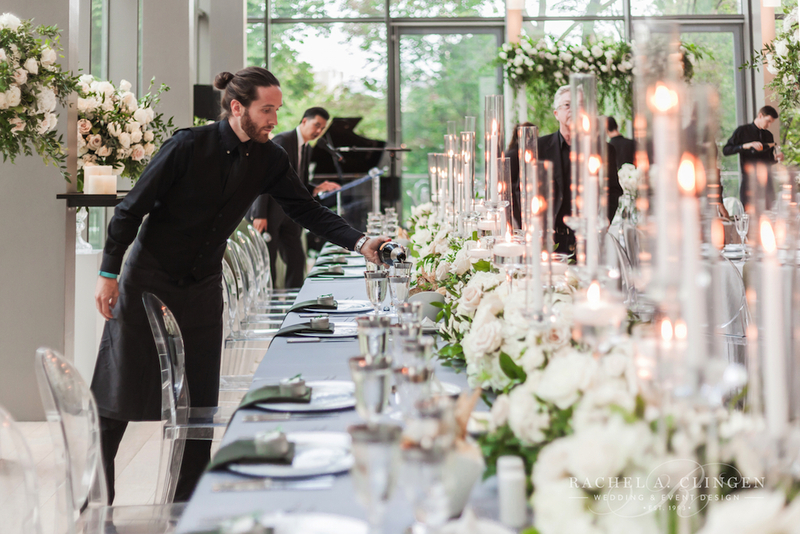 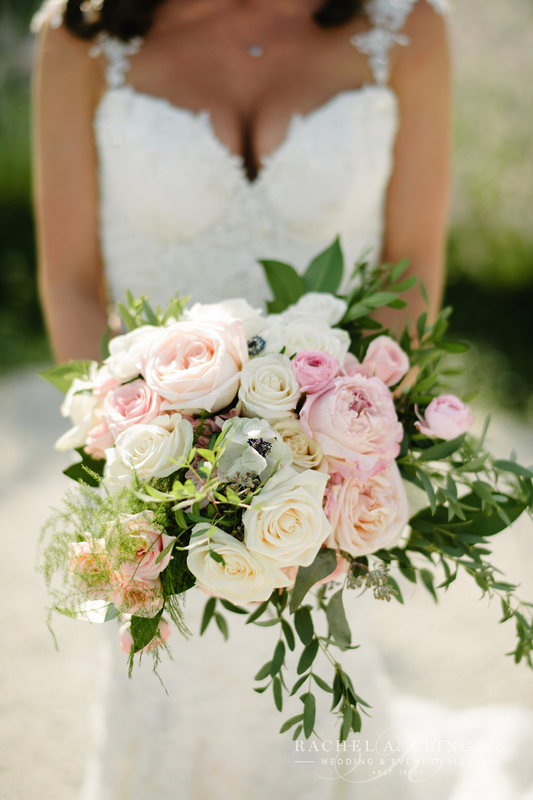 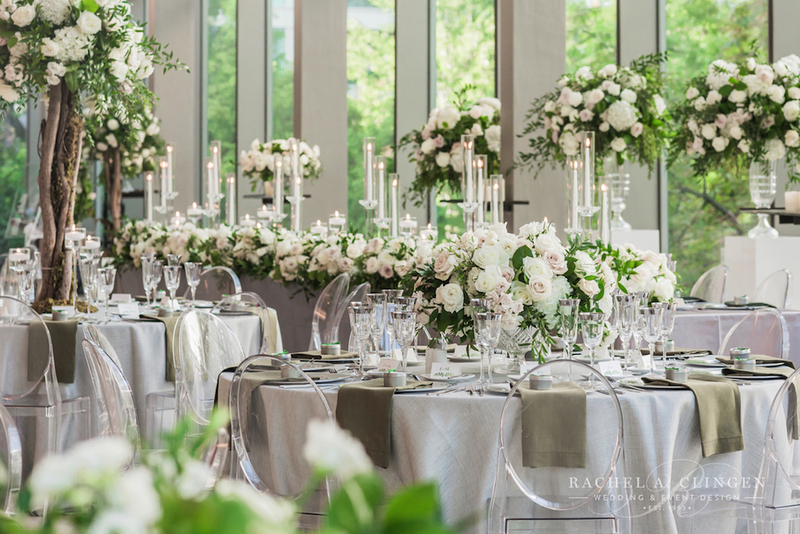 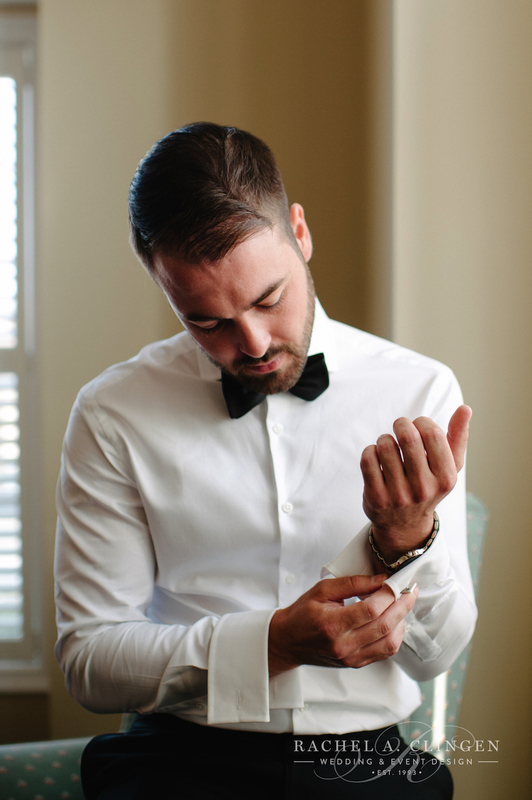 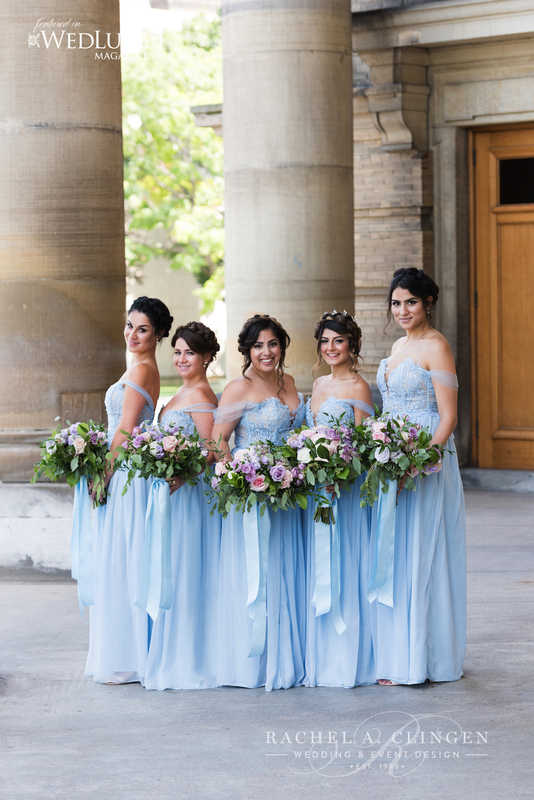 Ashley and John’s wedding at the Royal Conservatory of Music was a refreshing blend of organic and modern elements. 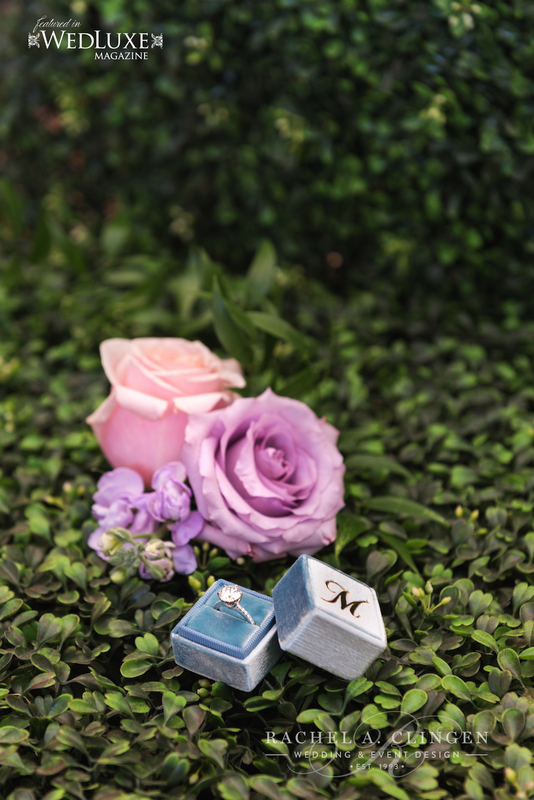 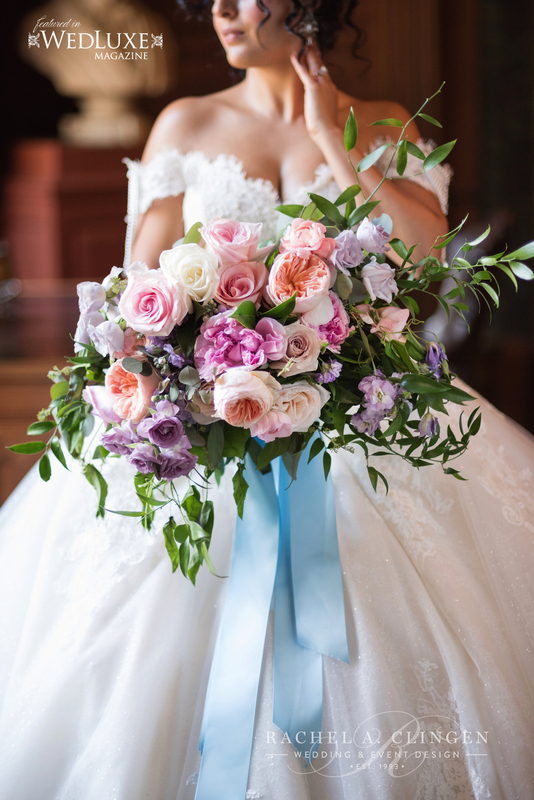 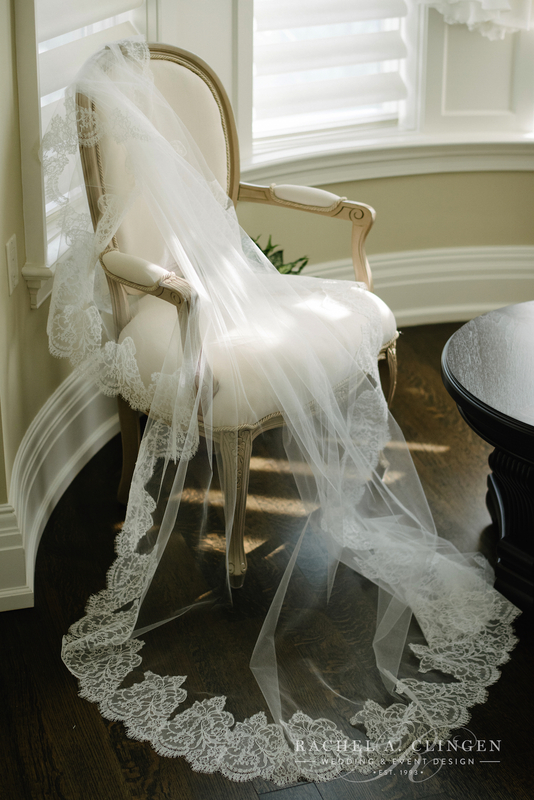 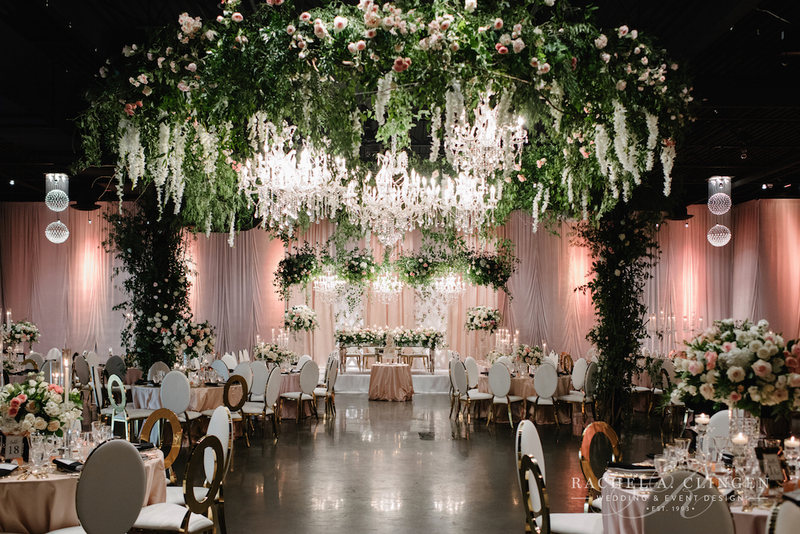 Fairy tale decor and flowers created magical ceremony and reception spaces. 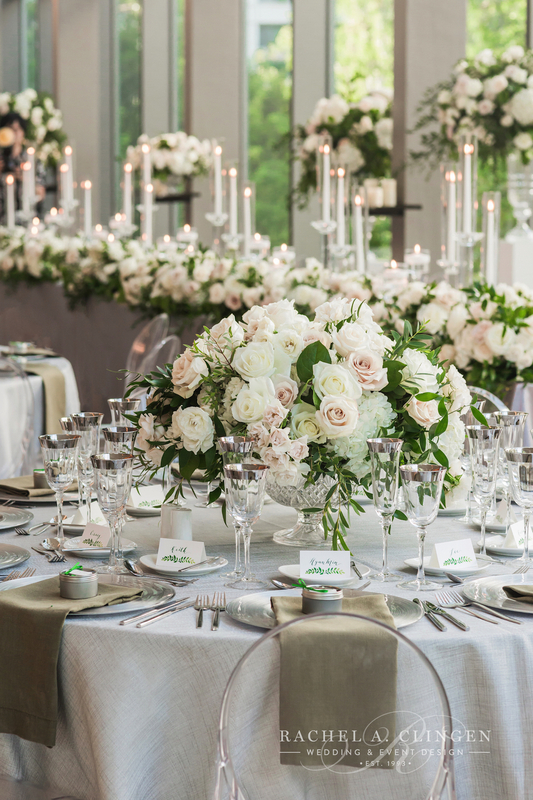 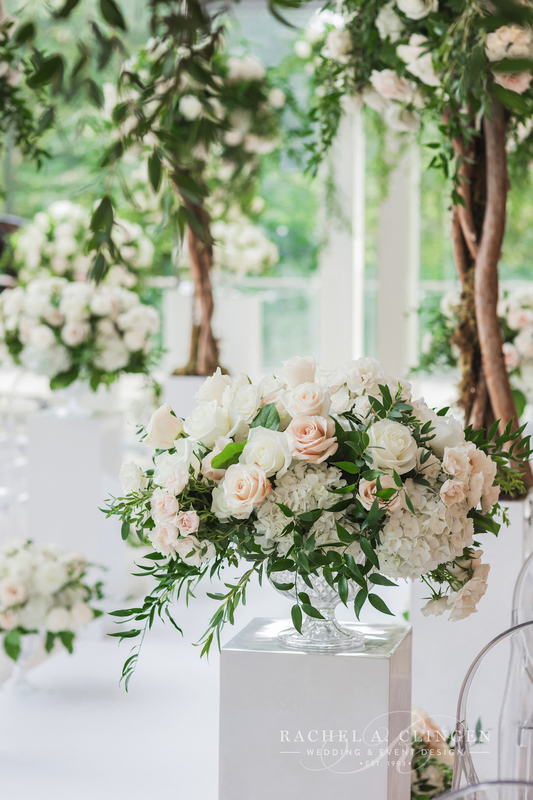 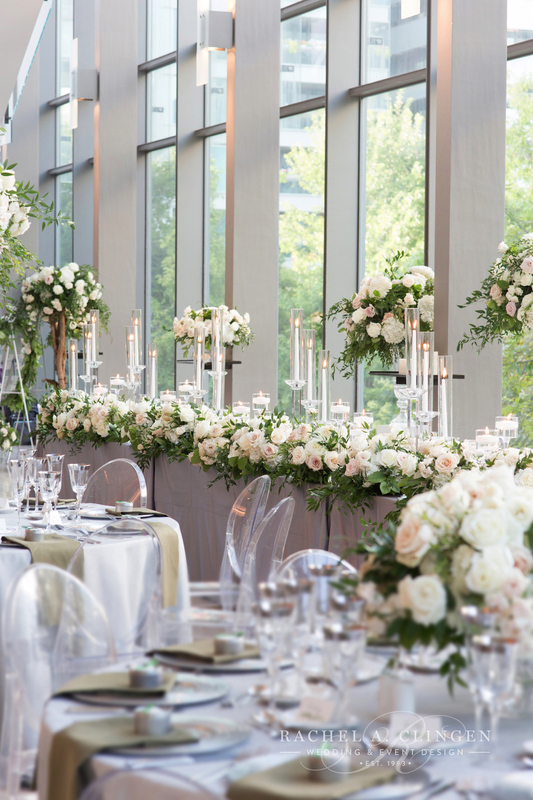 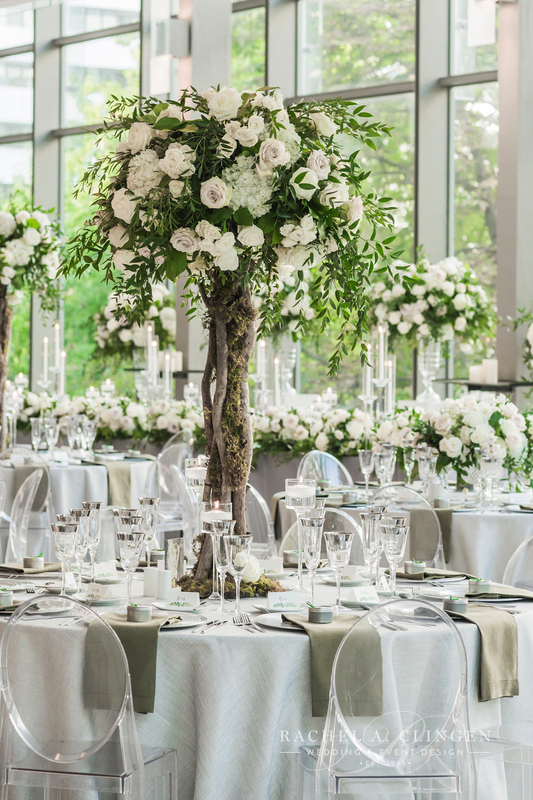 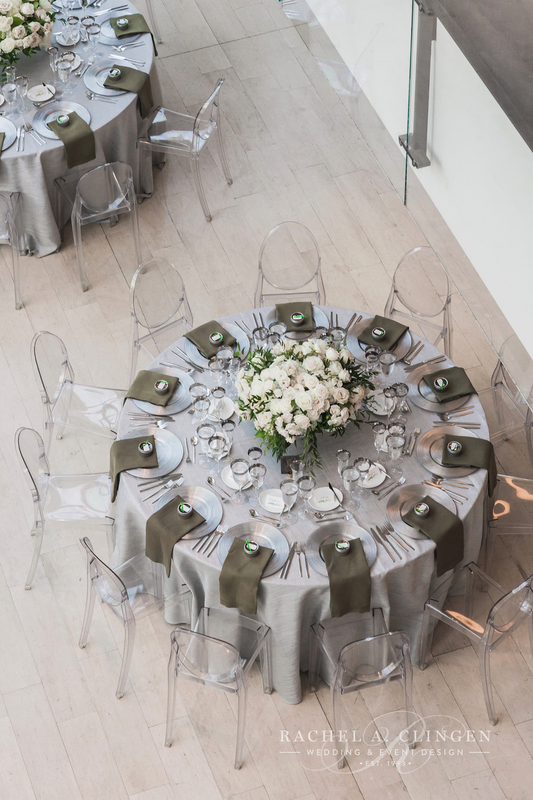 Fresh blooms in creams and whites, along with an abundance of foliages, filled the modern and bright space at the Royal Conservatory of Music. 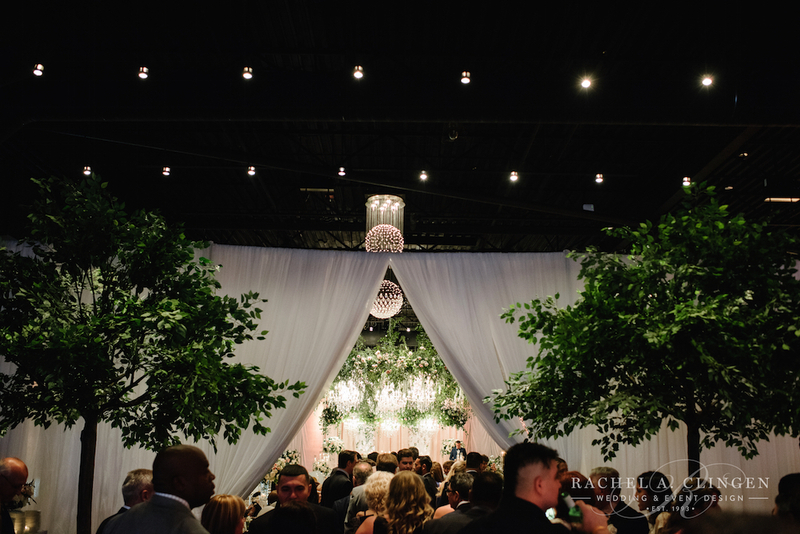 We designed lush flower trees which lined the aisle as well as suspended floral arch which transformed the venue into an enchanted forest. 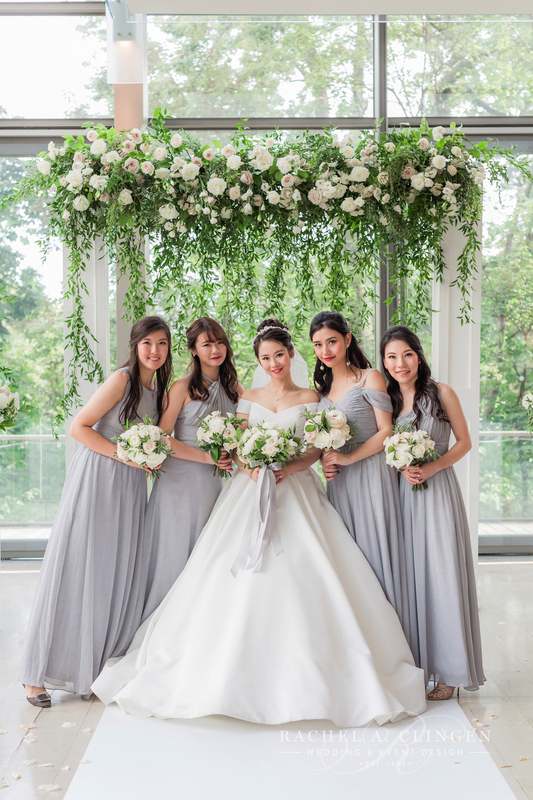 It was lovely to work with Uphoria events on this pretty Chinese wedding and thank you to One & Only Studio for these beautiful images. 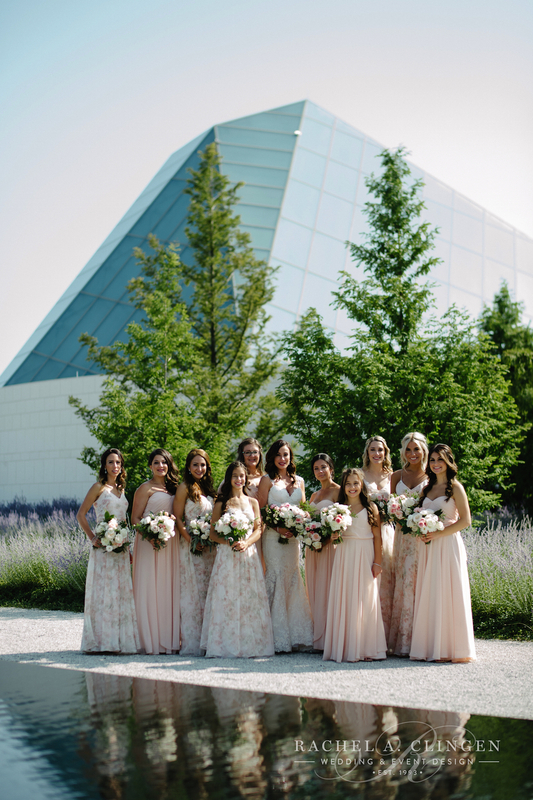 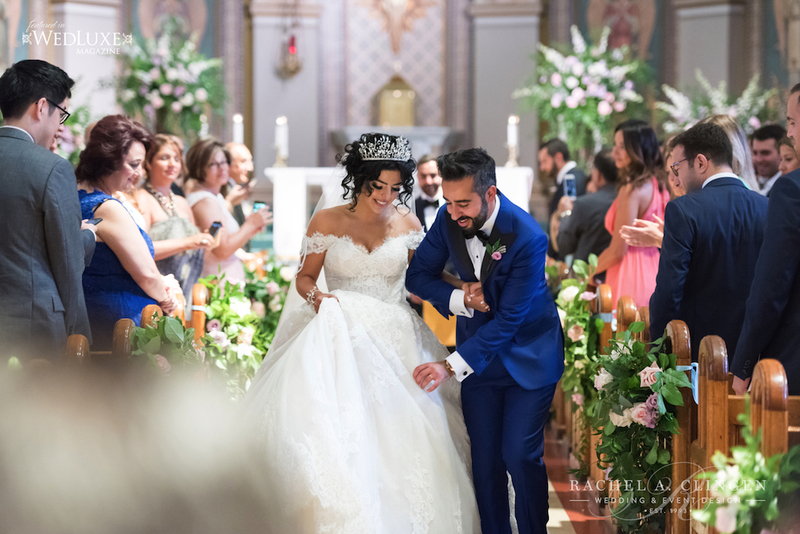 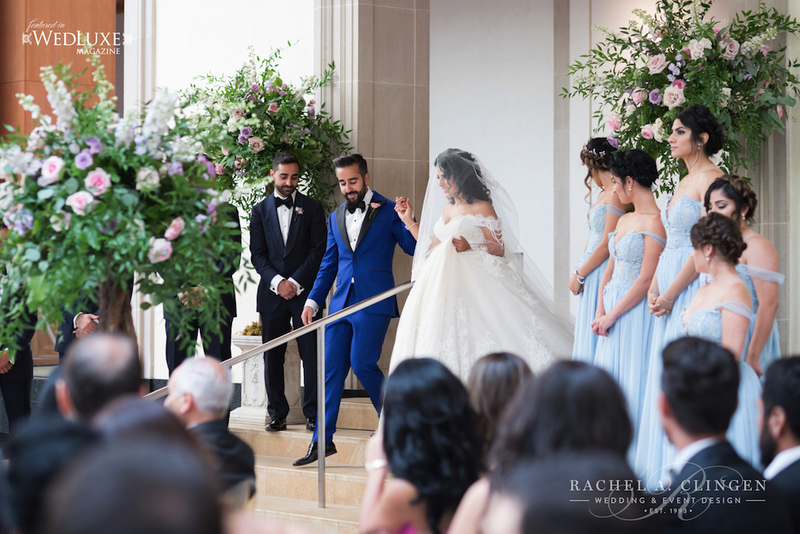 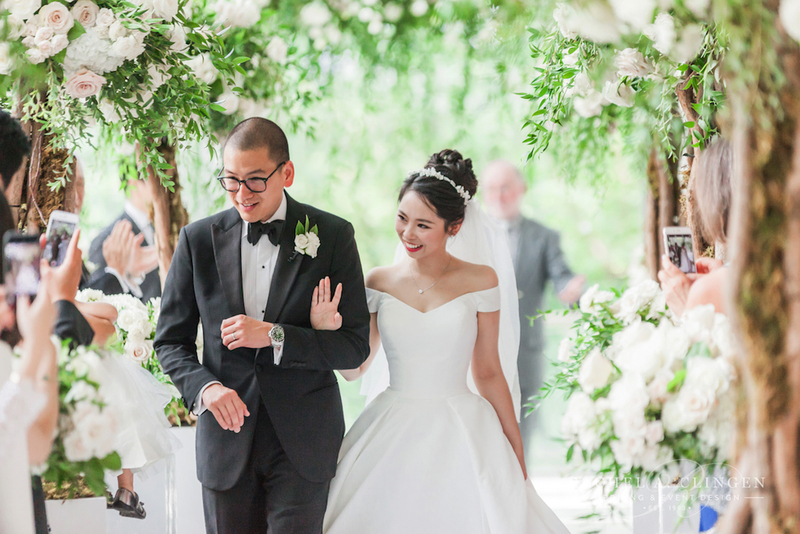 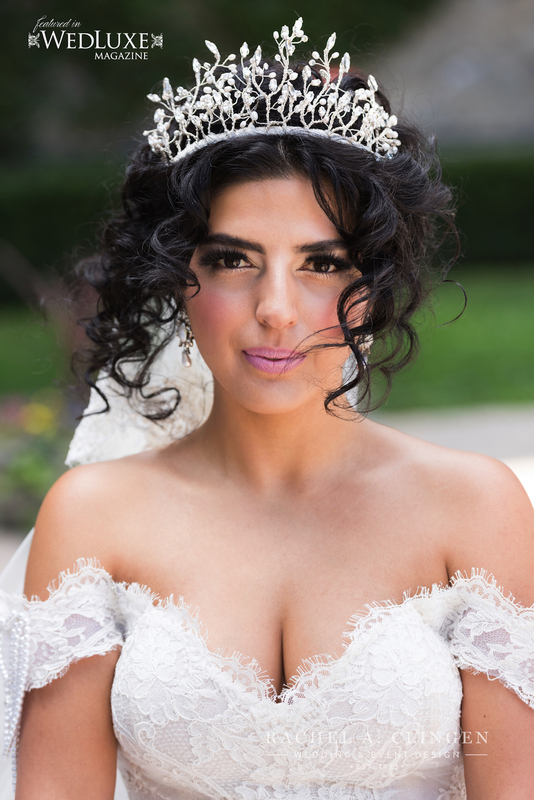 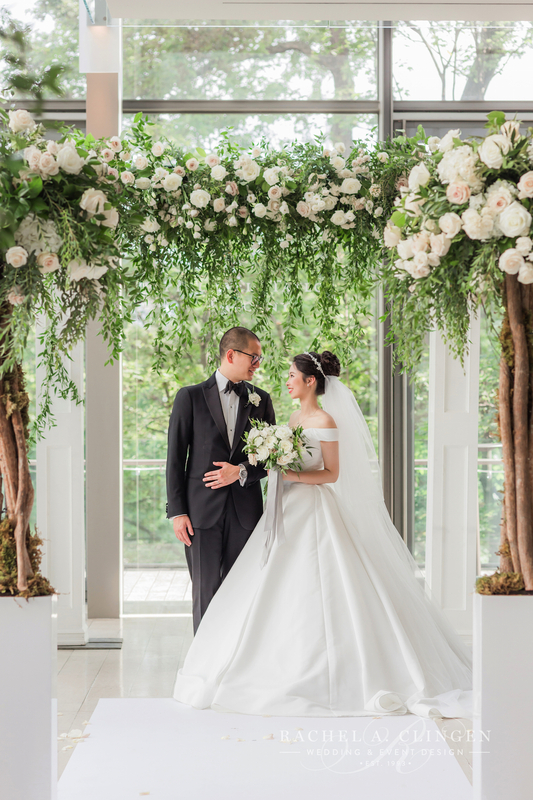 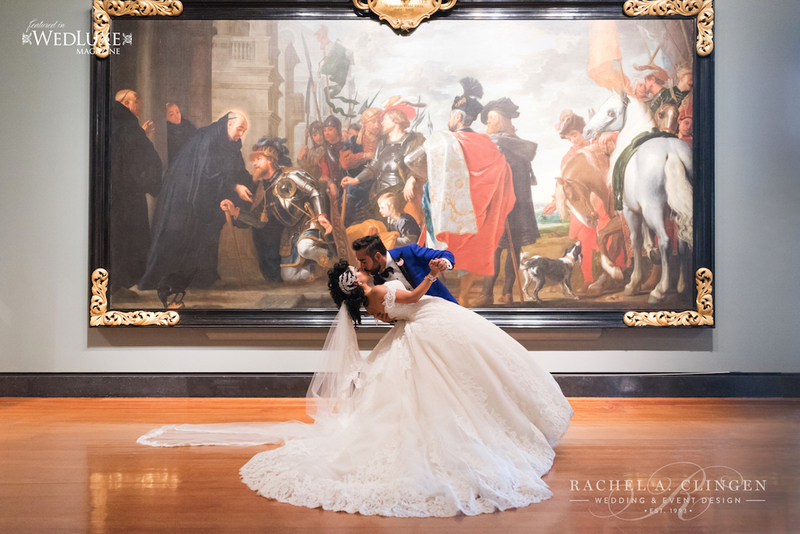 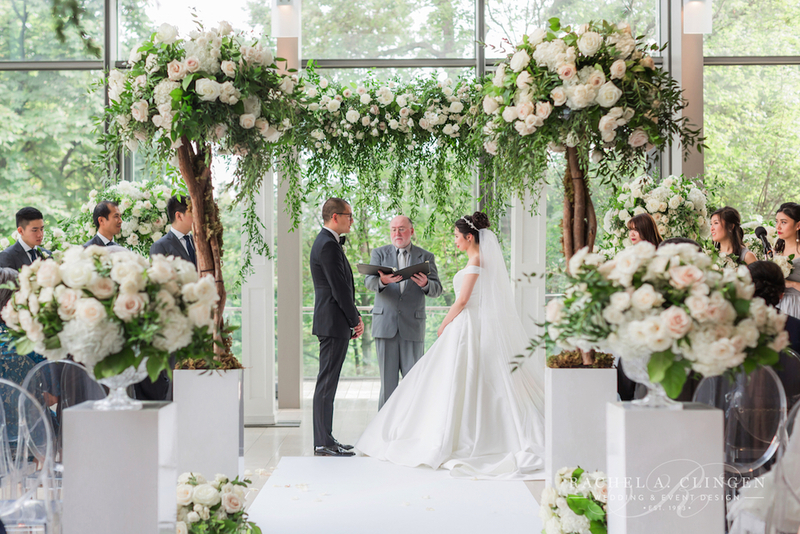 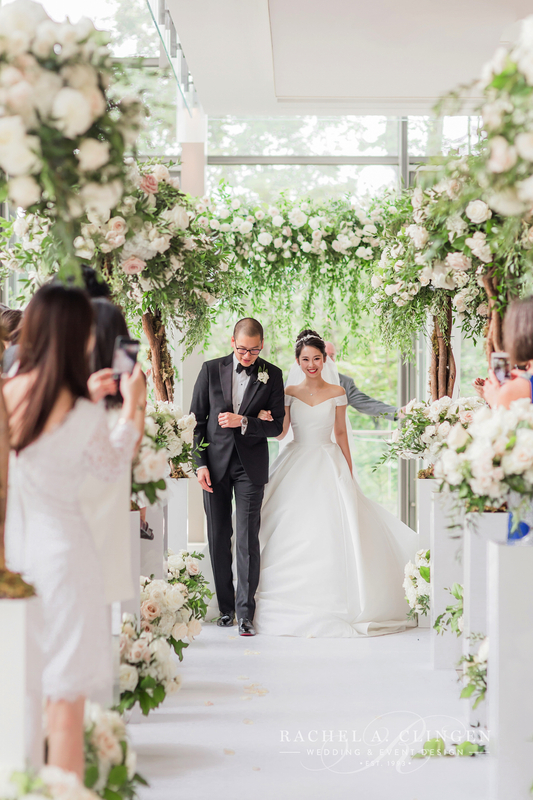 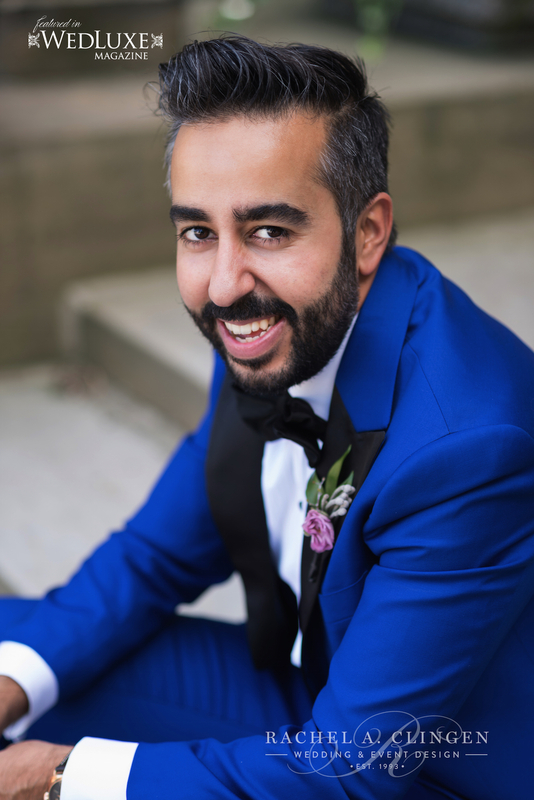 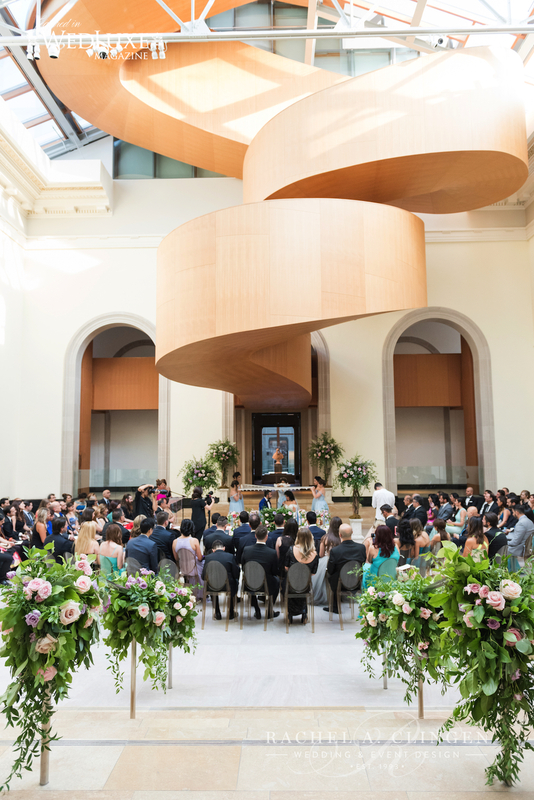 Rouzhin and Naram celebrated their high style wedding day with two beautiful ceremonies and an amazing reception at the Art Gallery of Ontario. 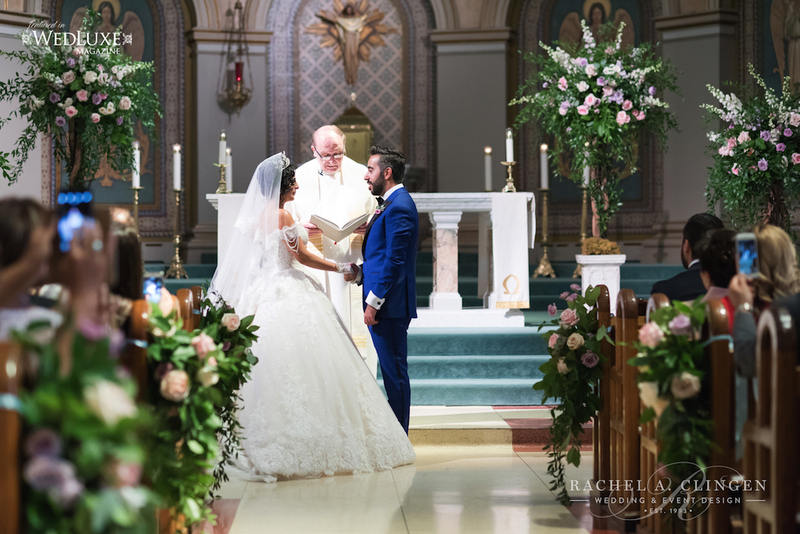 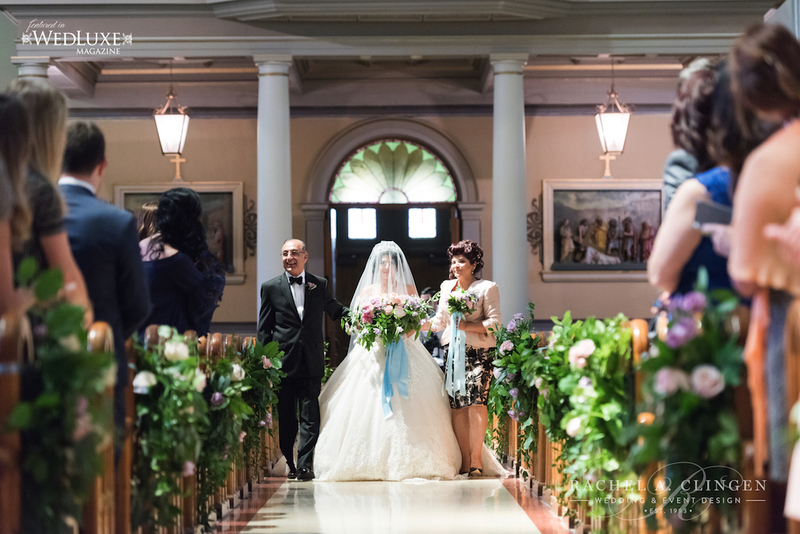 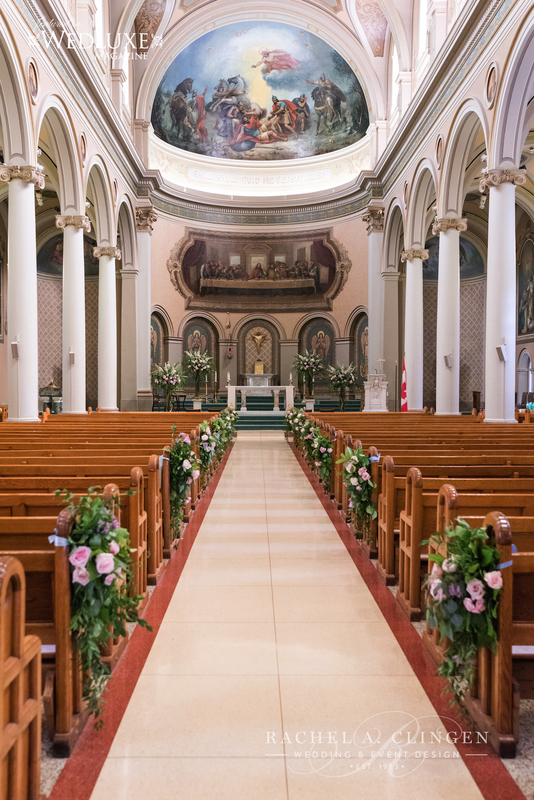 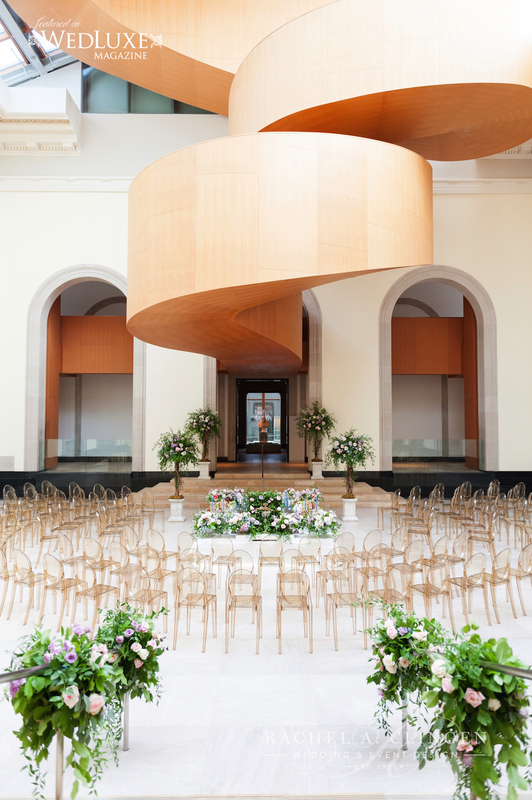 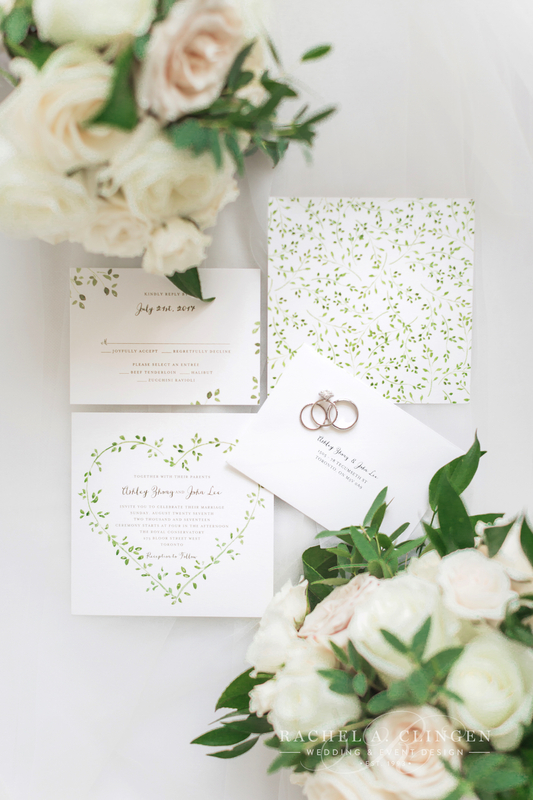 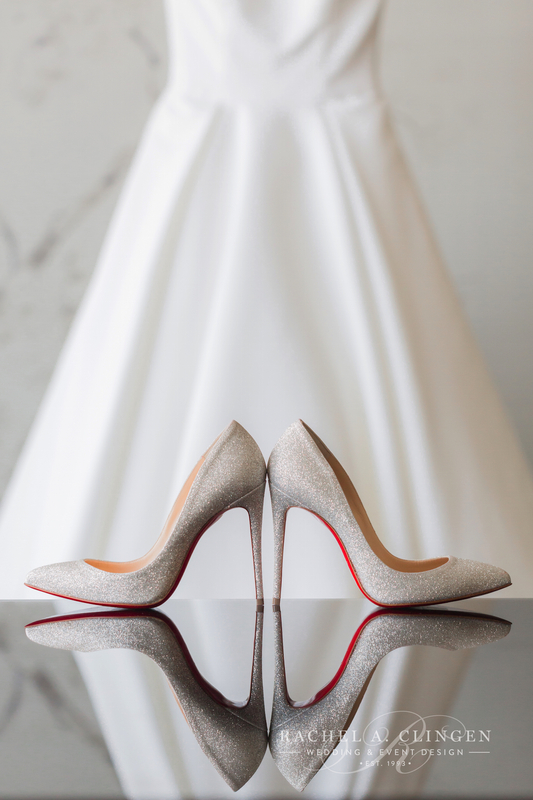 The first ‘i do’s’ were exchanged at St Paul’s Basilica followed by a Persian ceremony at the Art Gallery Of Ontario. 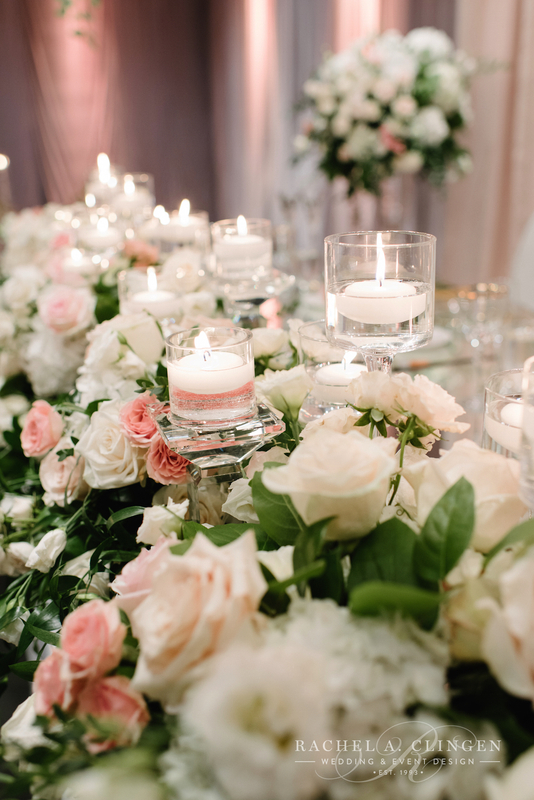 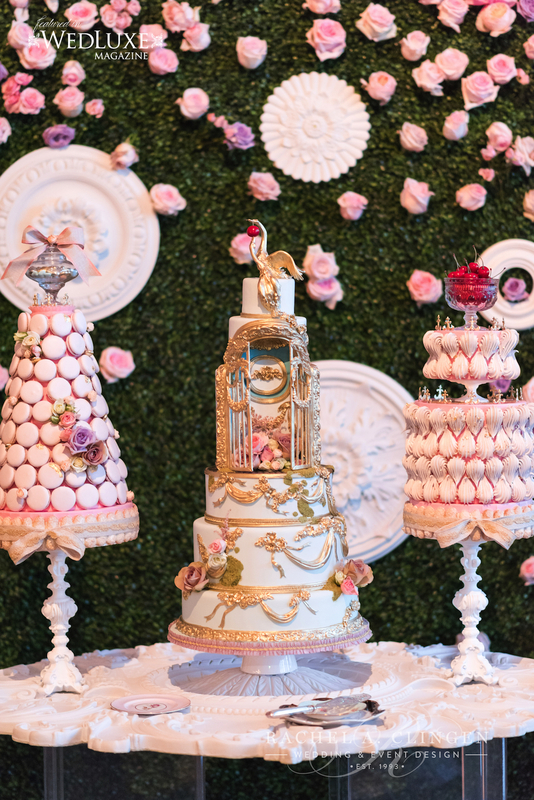 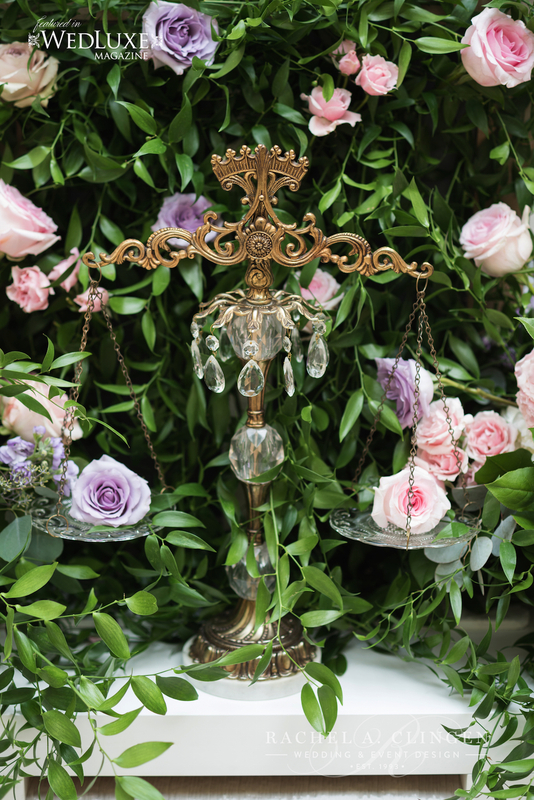 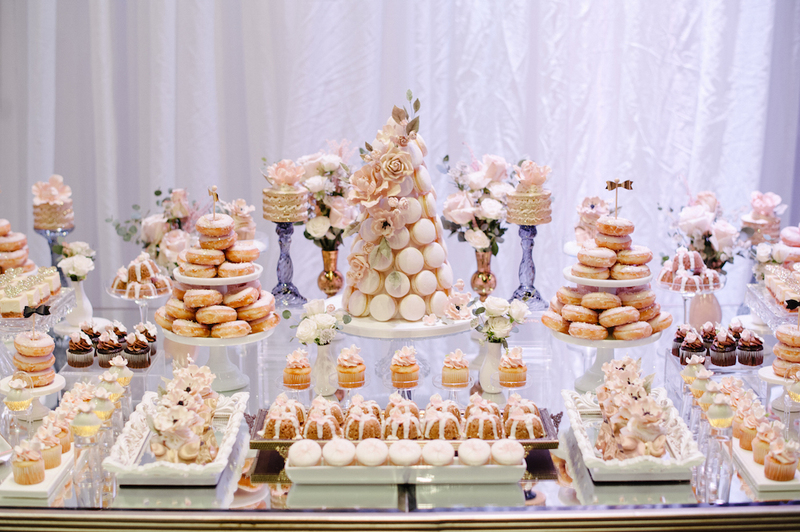 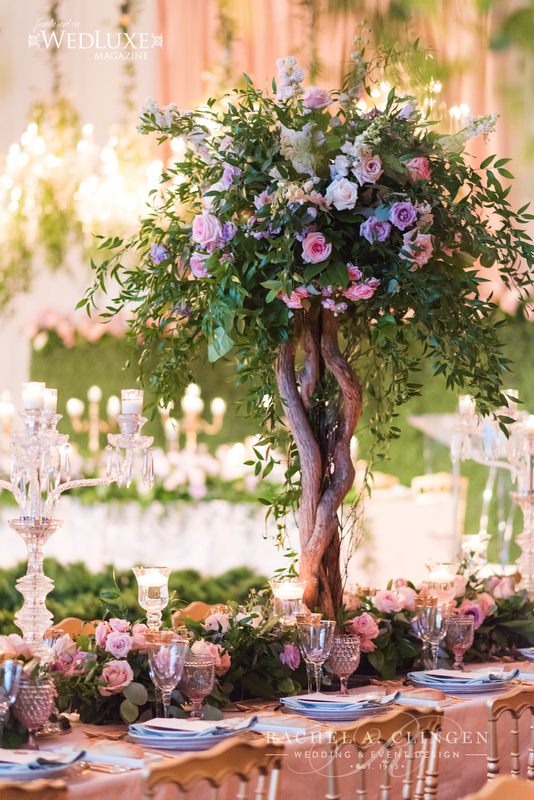 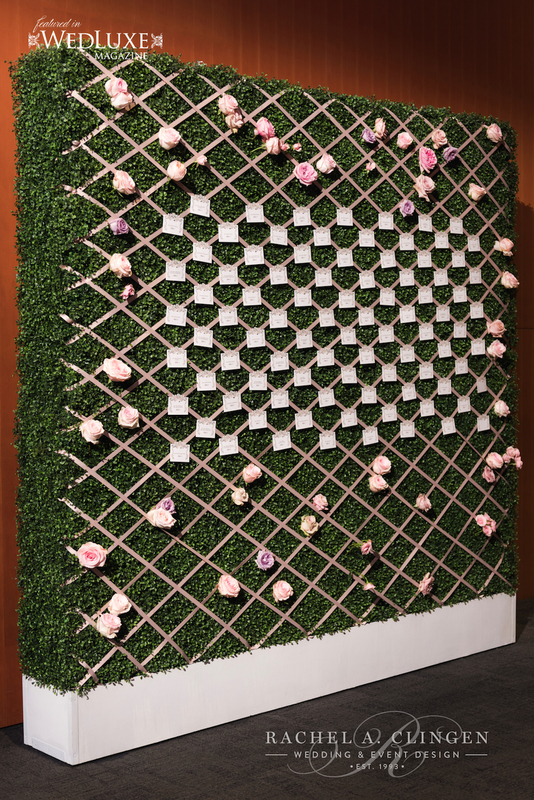 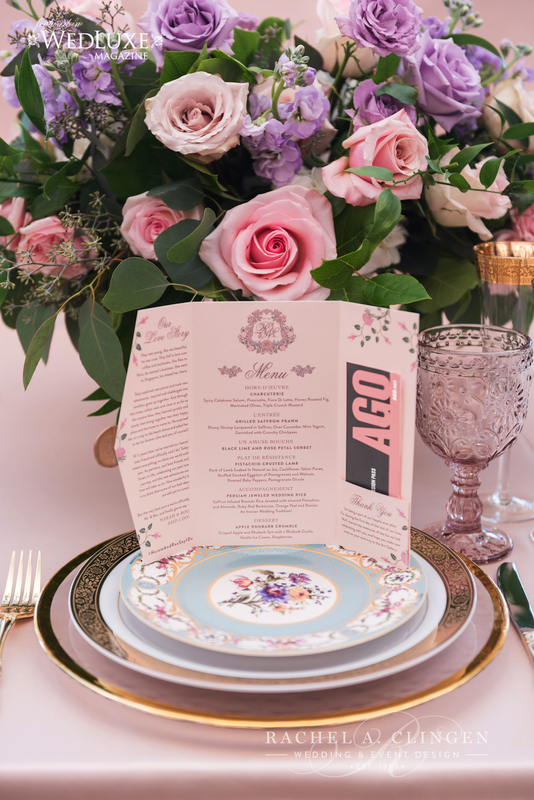 In an ode to Marie Antoinette’s ‘Enchanted Garden’, we staged some incredible floral and decor that captivated guests. 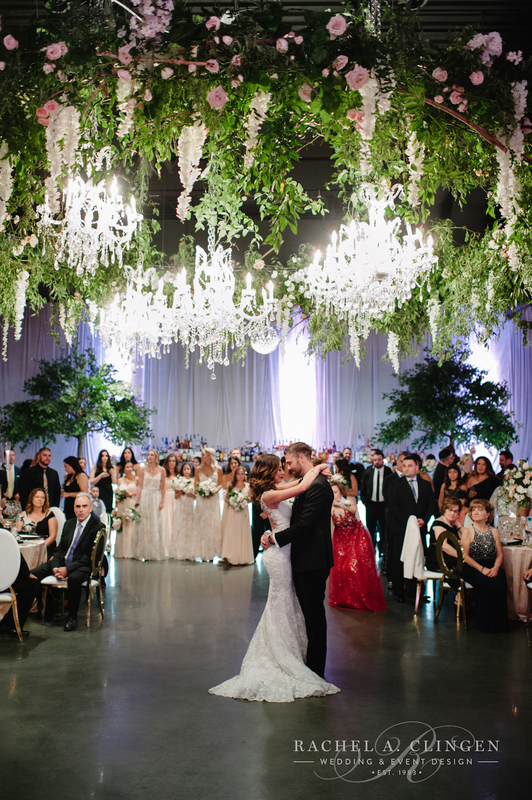 We designed custom floral tree centrepieces and and a spectacular 20-ft wide suspended floral canopy over the dance floor creating a magical space. 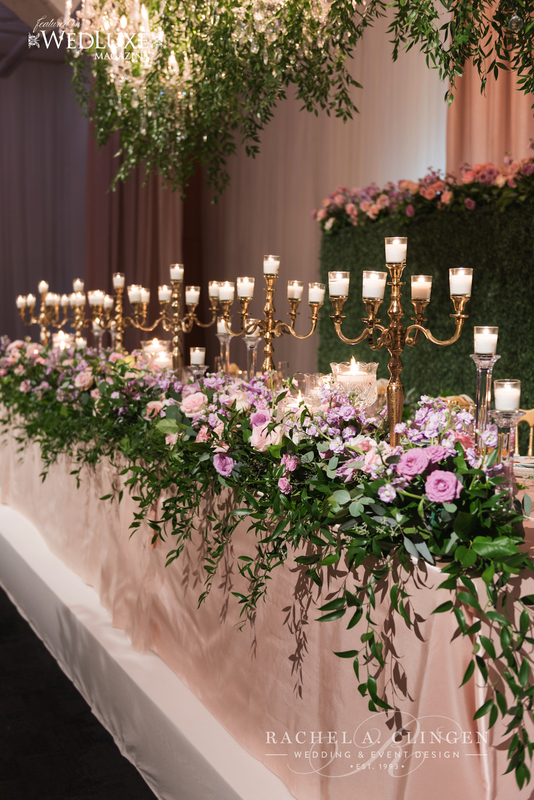 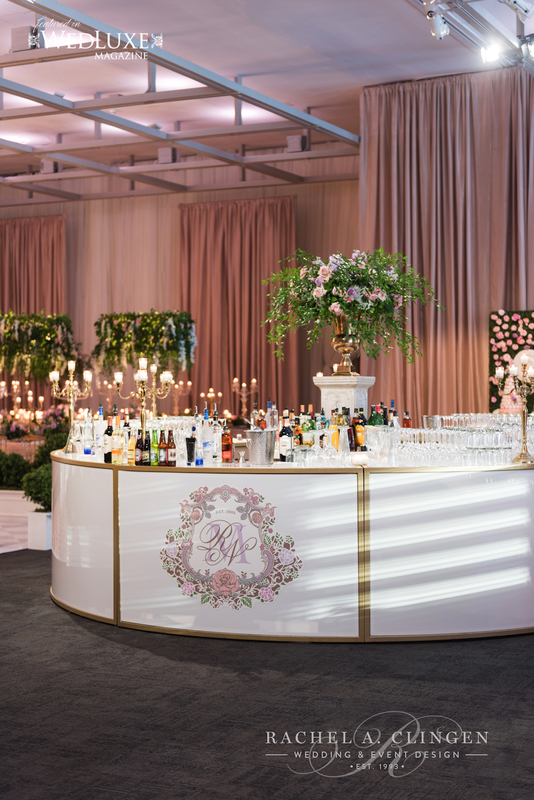 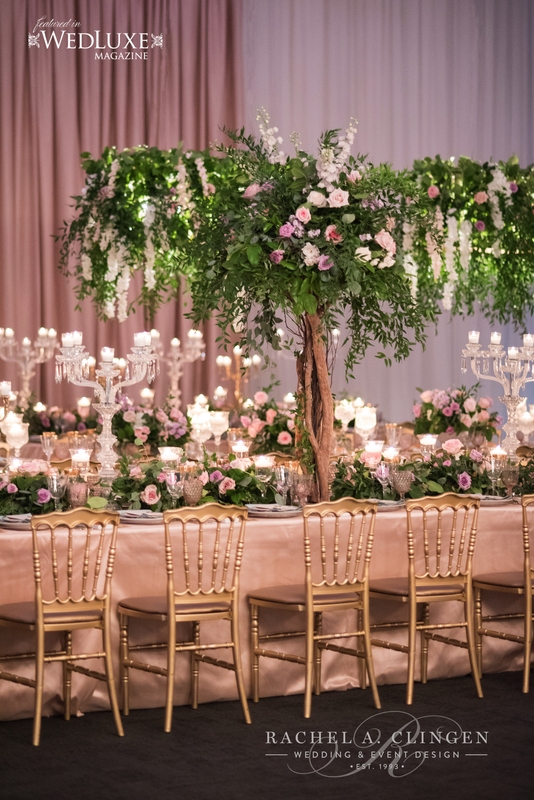 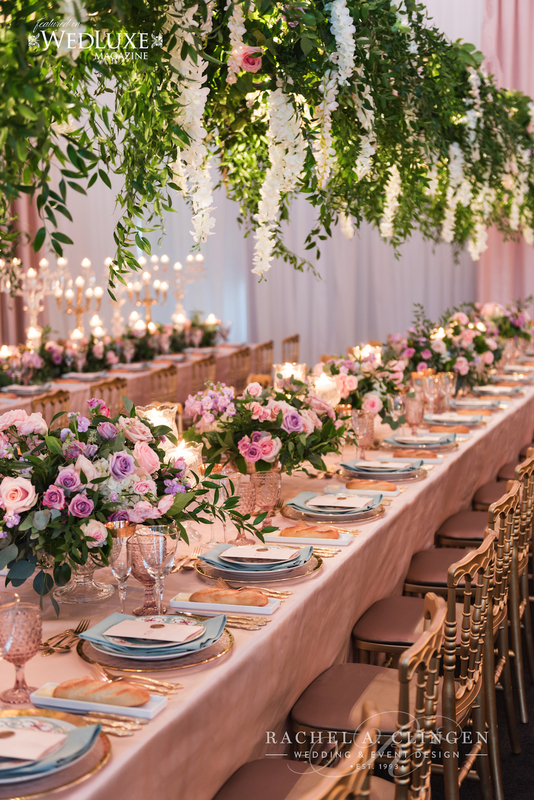 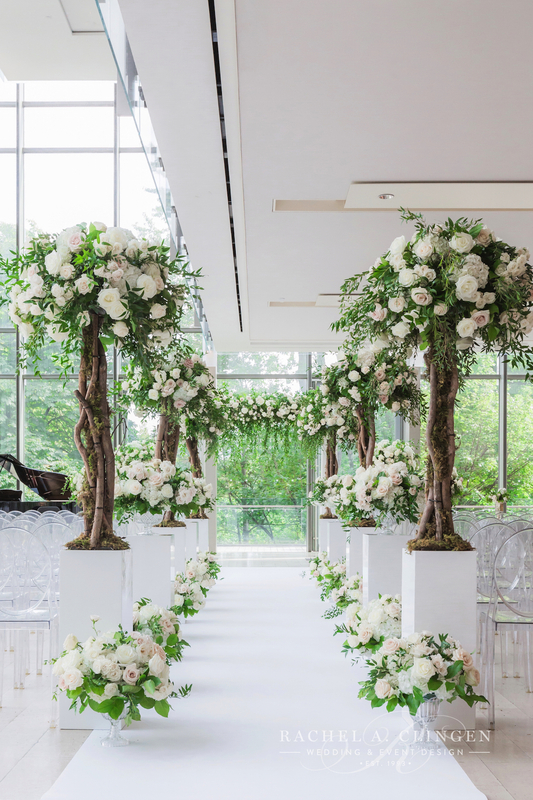 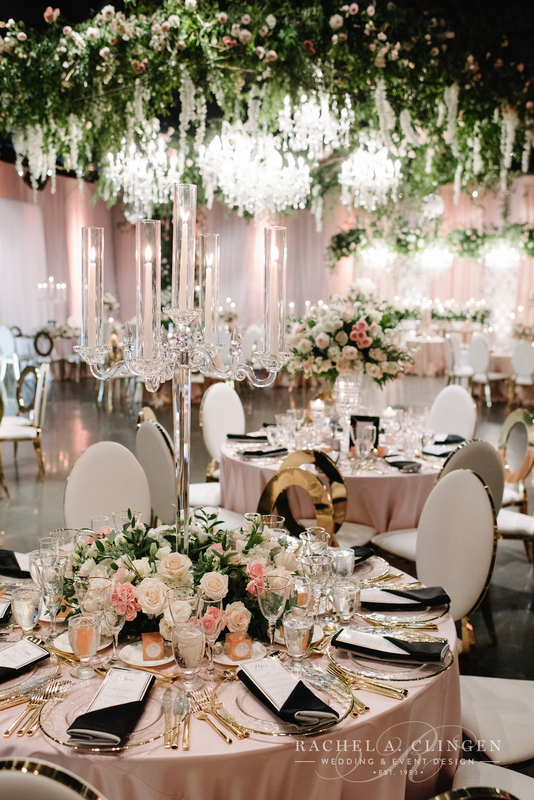 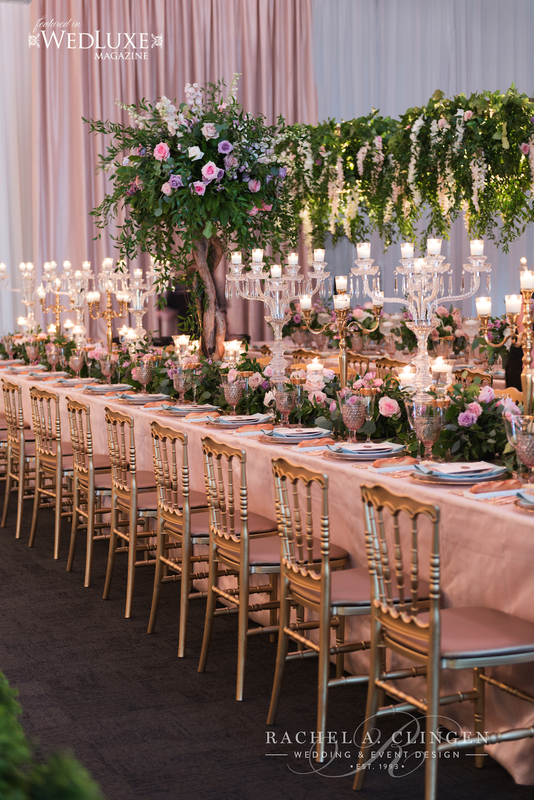 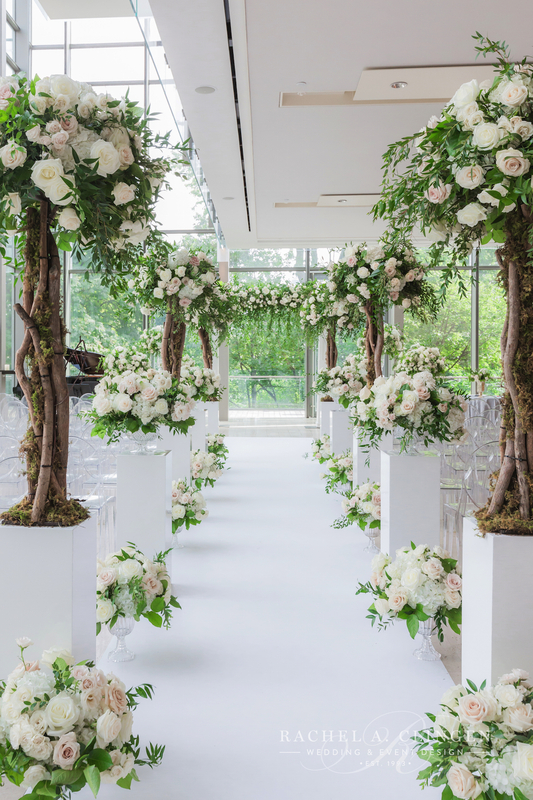 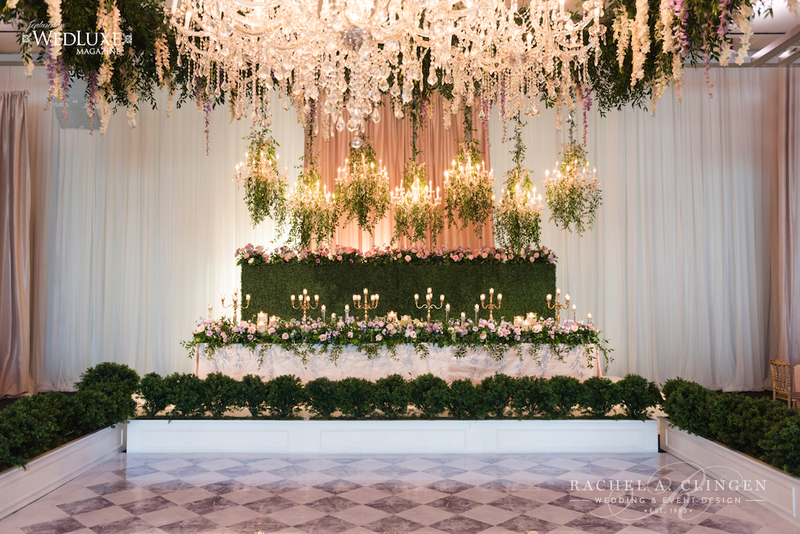 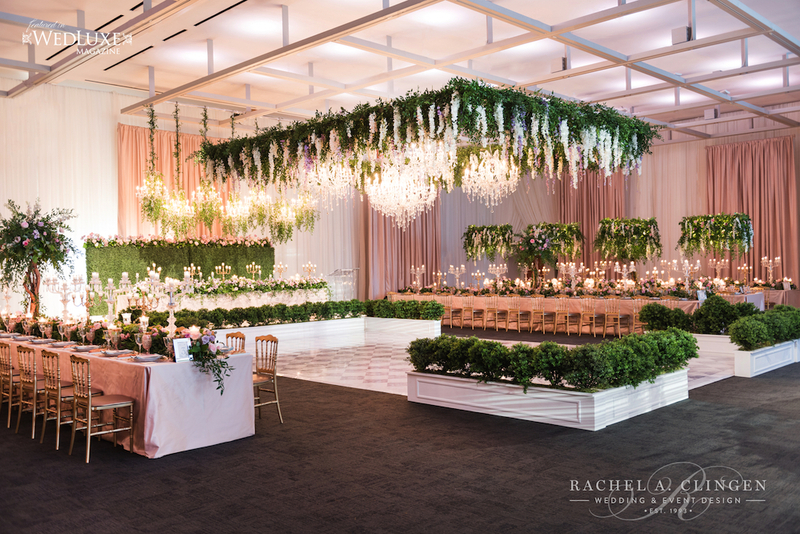 In addition, suspended floral chandeliers made with wisteria, roses and foliage added soft and romantic lighting over the elongated gallery tables. 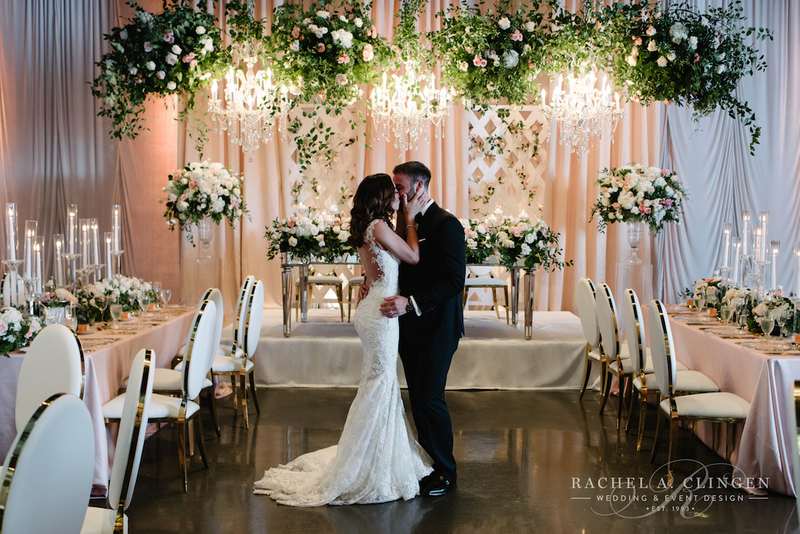 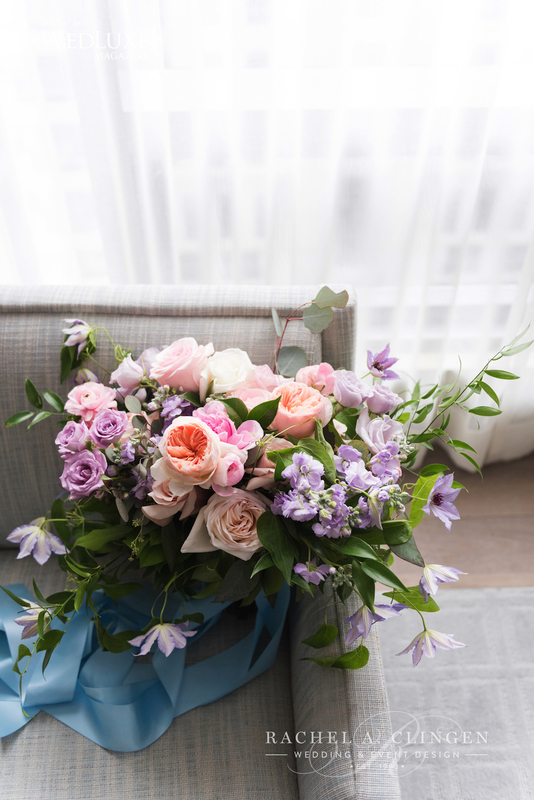 There was just no shortage of flowers and every corner of room had unique and carefully planned decor elements. 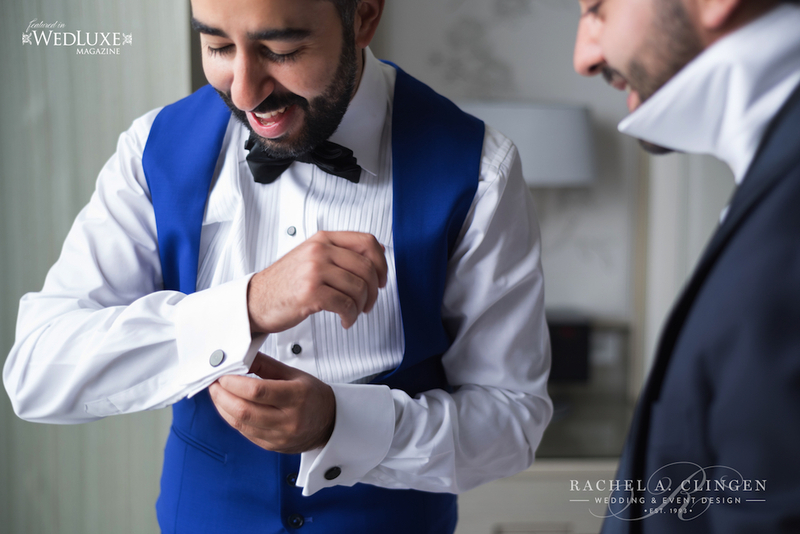 Our designs meetings with Naram and Rouzhin were so much fun. 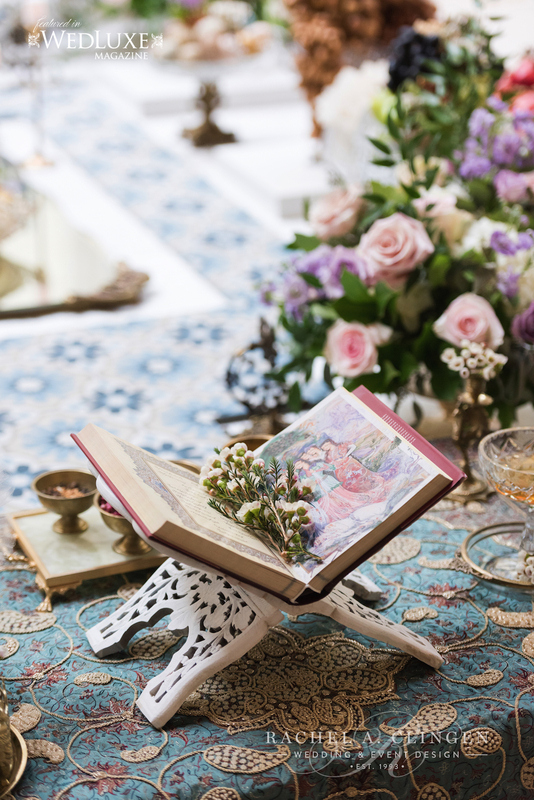 Rouzhins passion for pretty things energized our creative process. 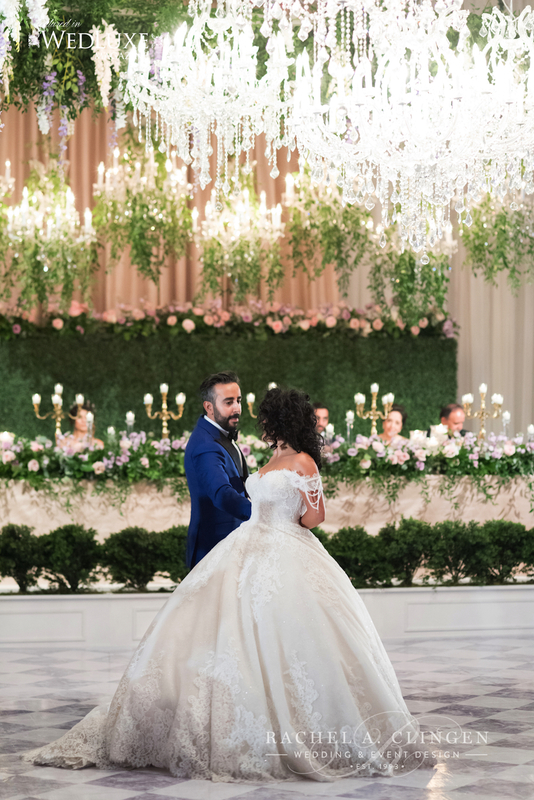 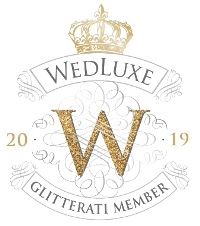 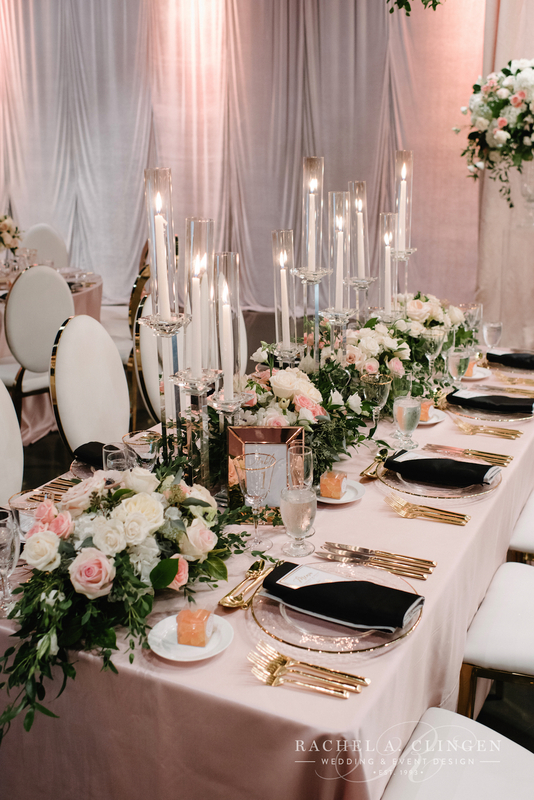 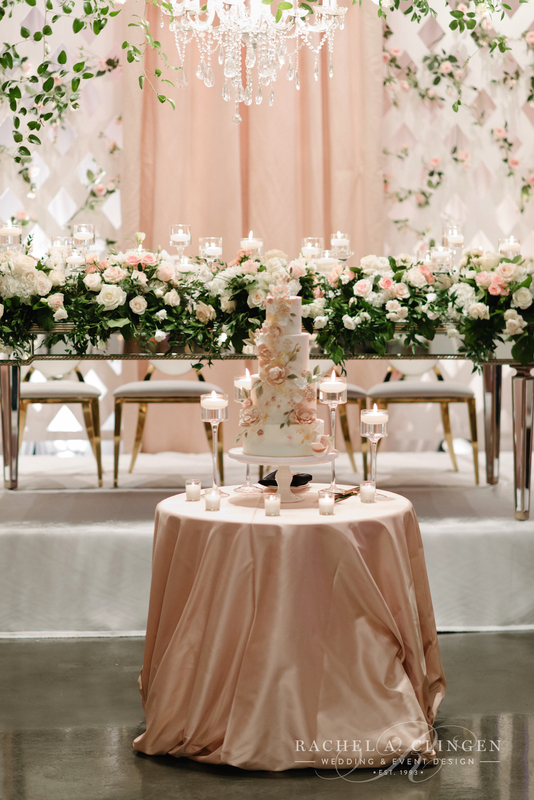 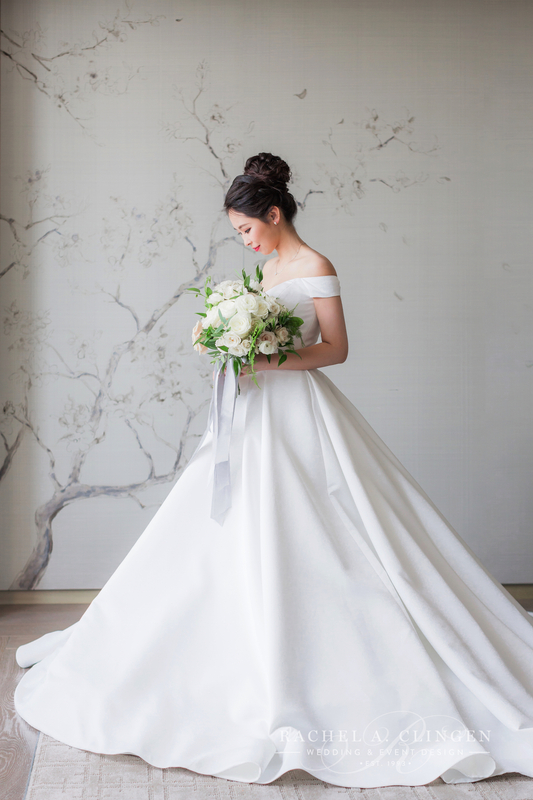 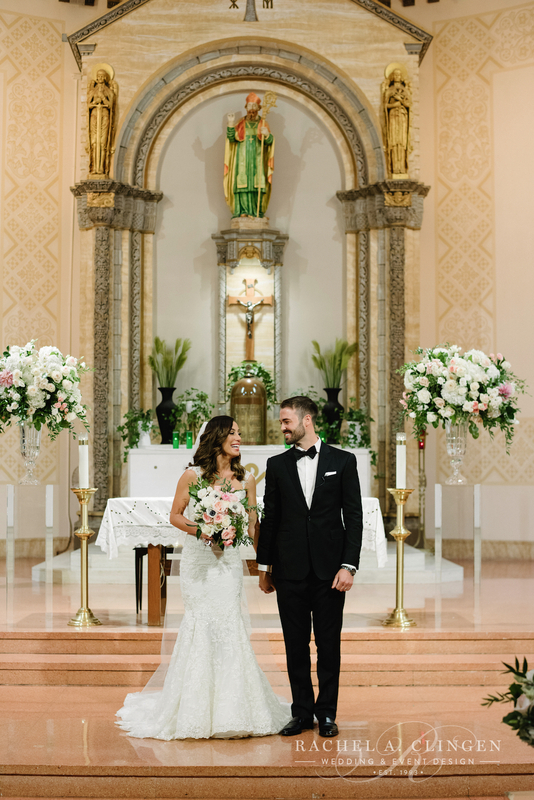 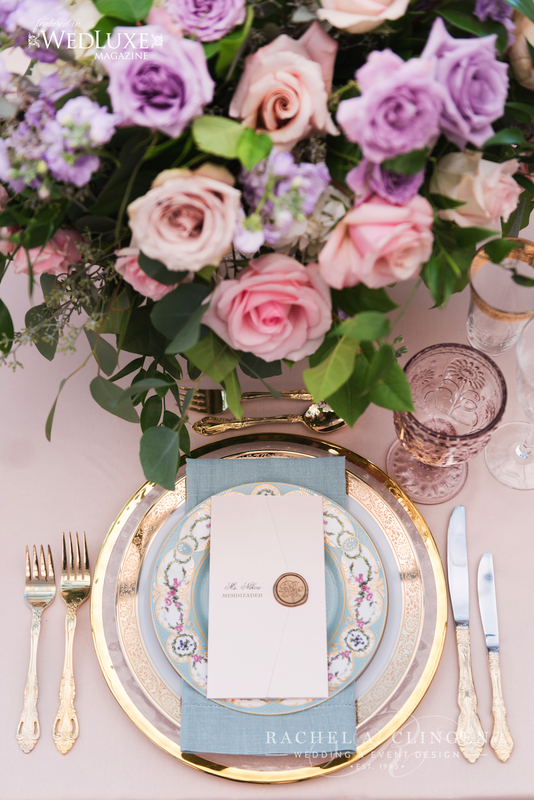 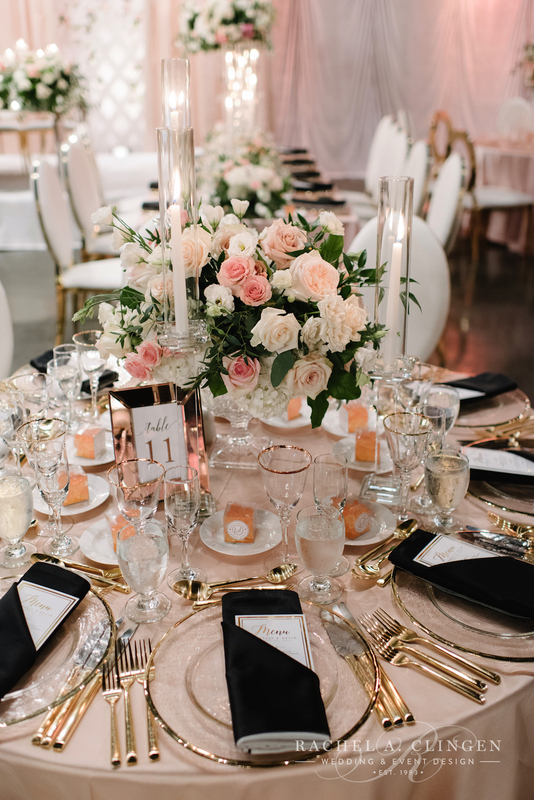 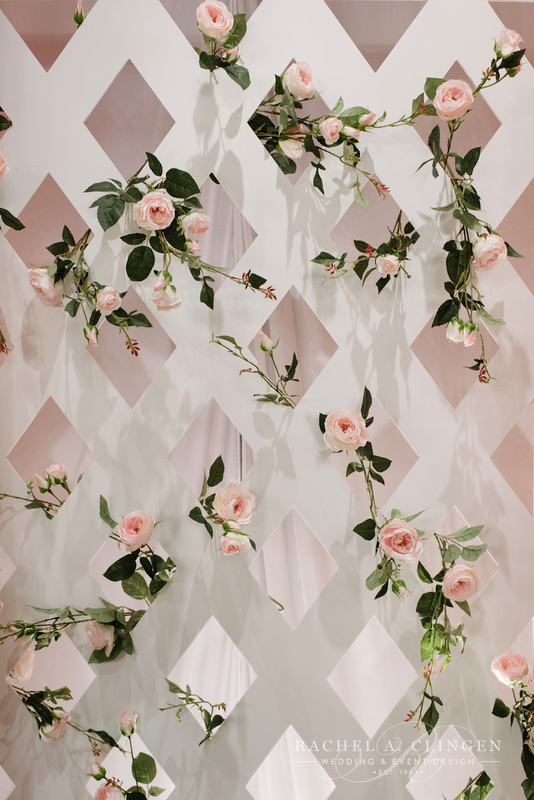 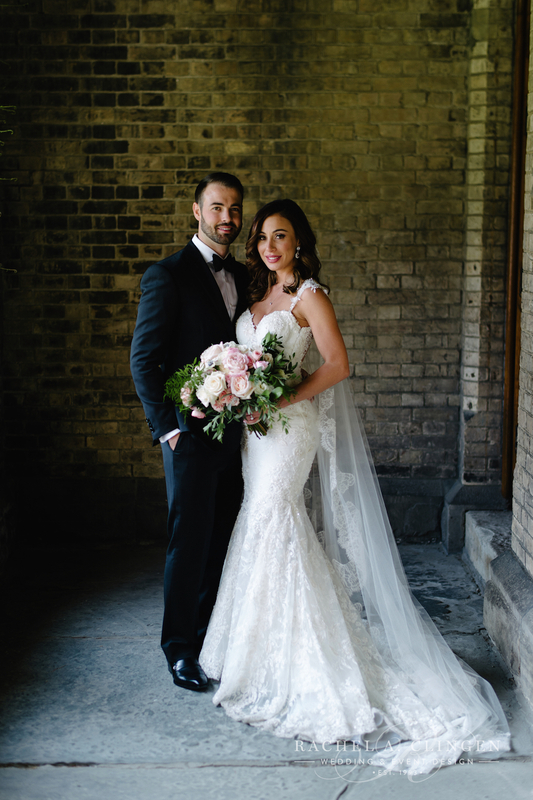 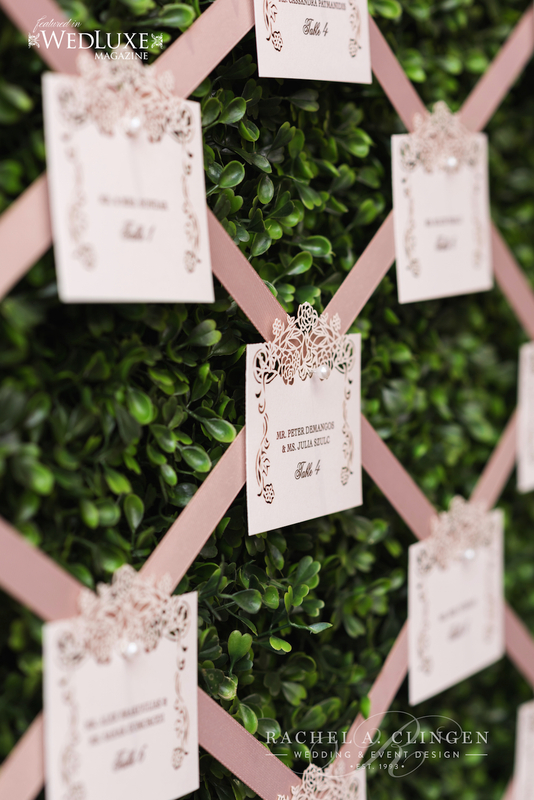 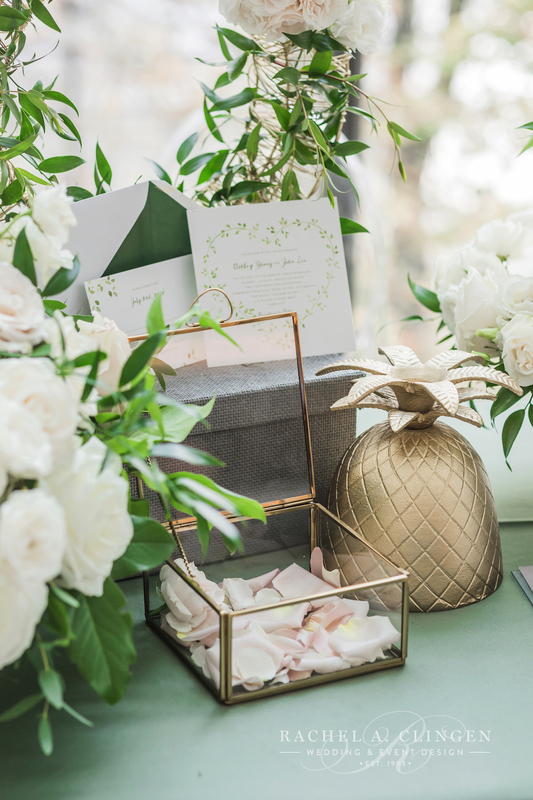 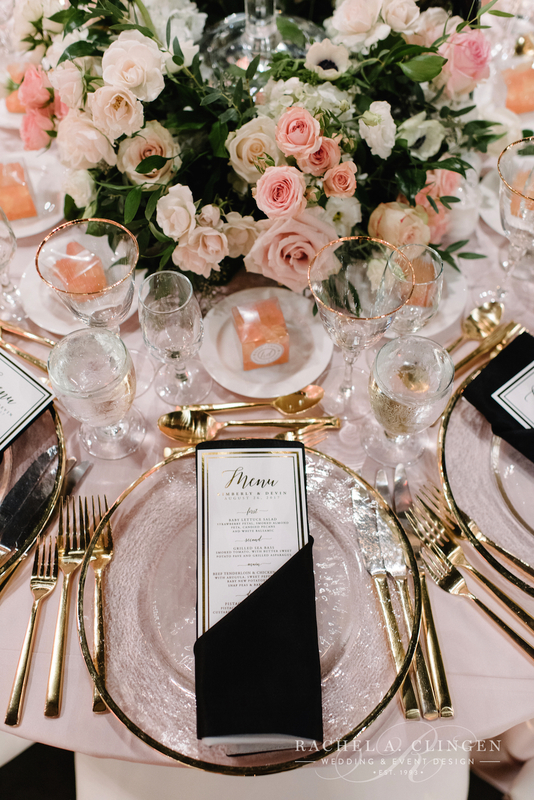 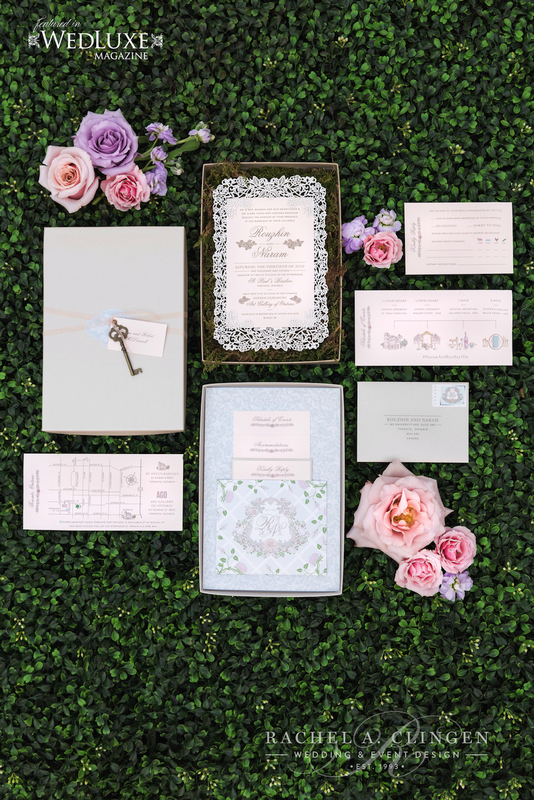 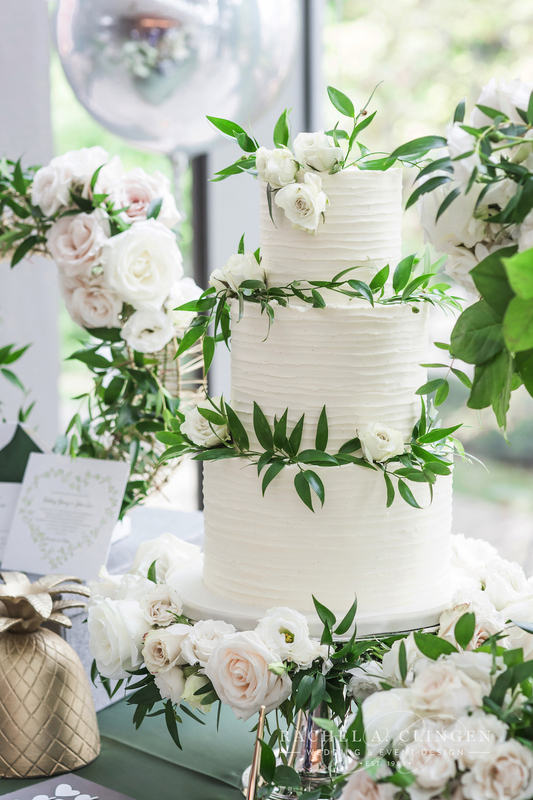 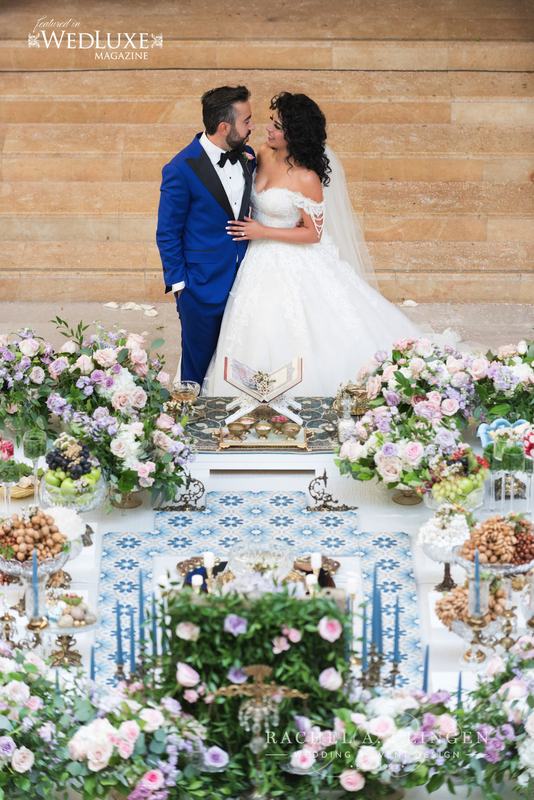 This fabulous wedding was planned to perfection by the amazing Laura & Co. Events and captured perfectly by 5ive 15ifteen so we were all thrilled to see it unveiled in the pages of Wedluxe magazine.